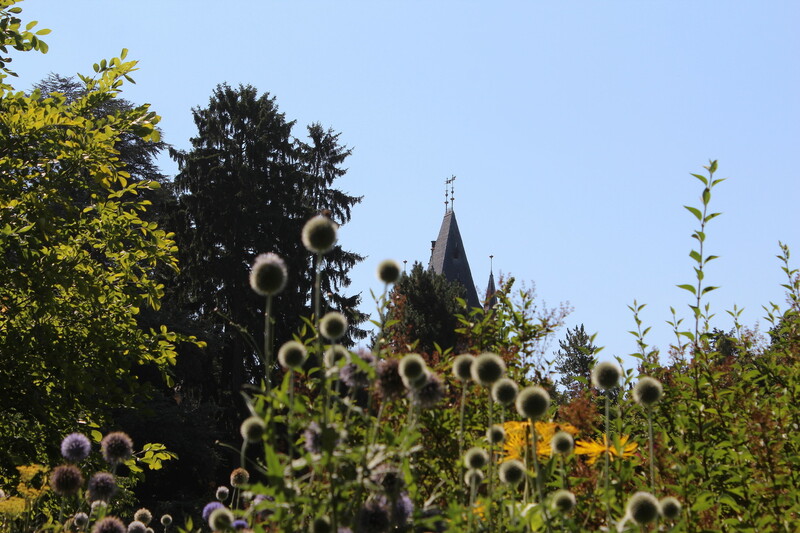 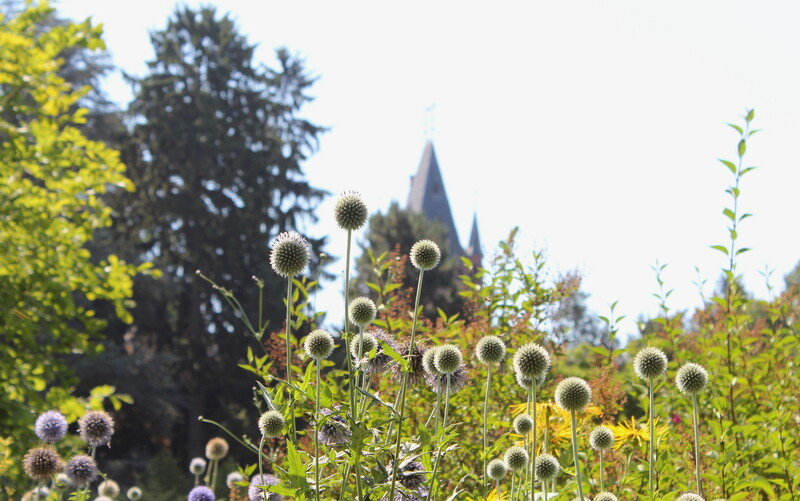 I saw pictures of this special garden in Weinheim and after I heard a lot of times how beautiful it is I decided to go and have a look for myself. 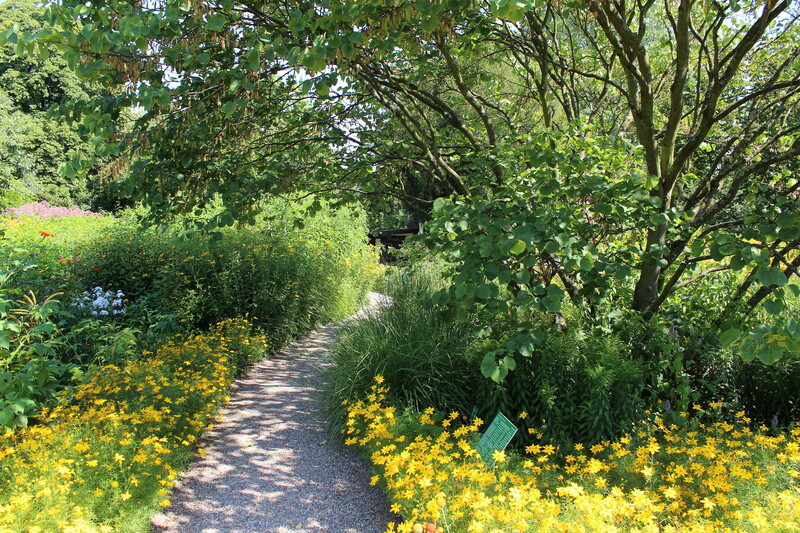 "Hermannshof is a place to see successful examples of new directions in planting design, espacially in naturalistic planting style. 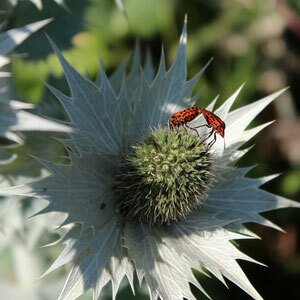 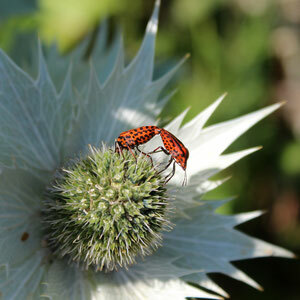 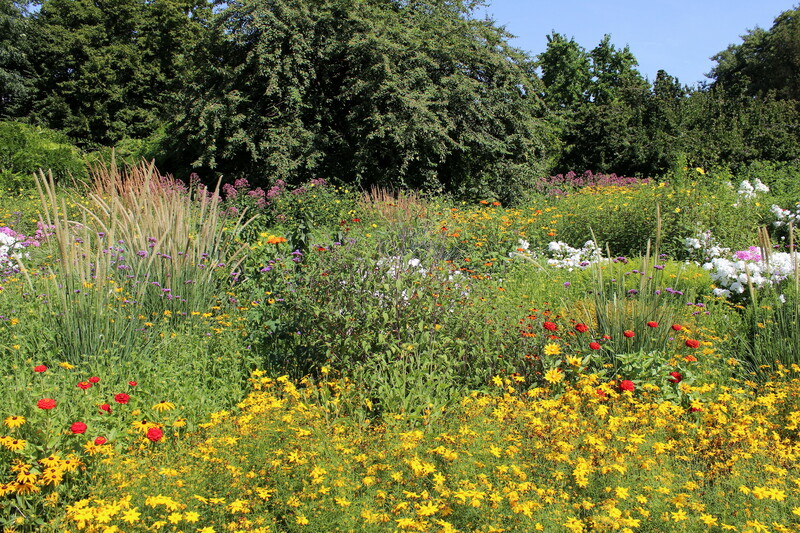 The plant combinations are inspired by plant societies in nature. 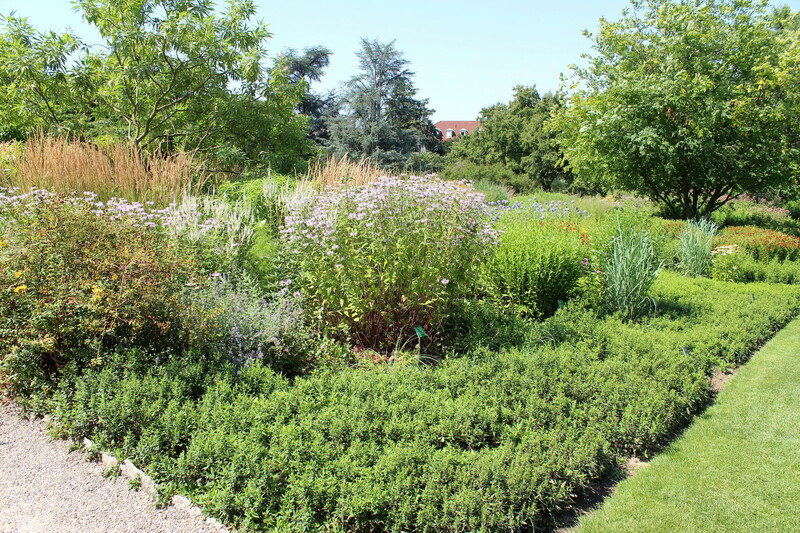 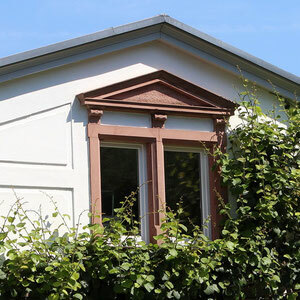 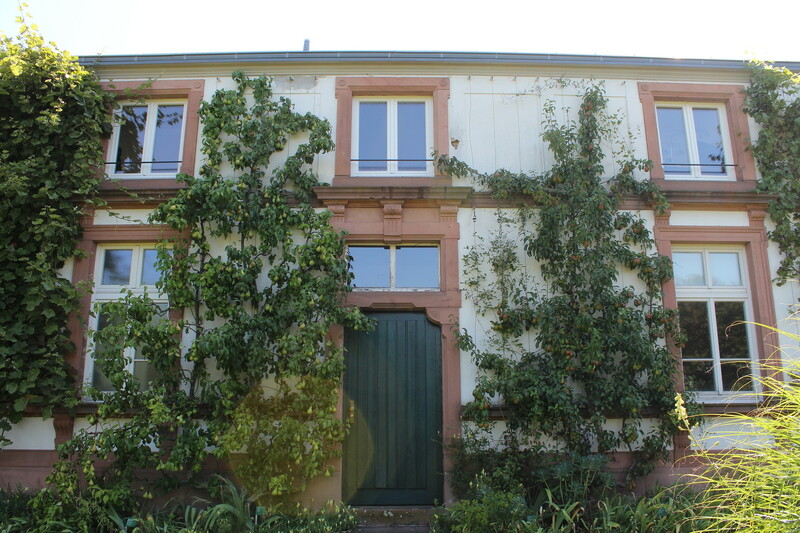 The Hermannshof-team does research on the use of hardy perennials in the wine-growing climate. 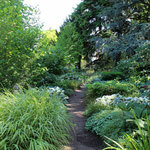 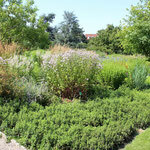 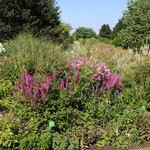 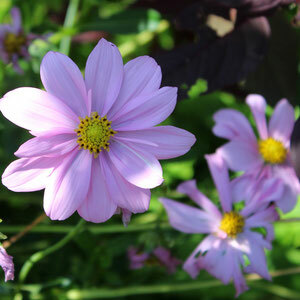 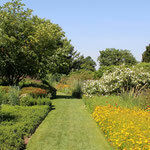 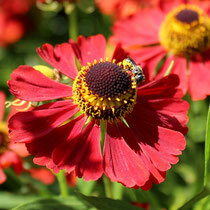 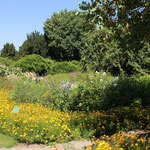 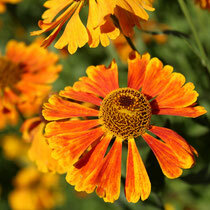 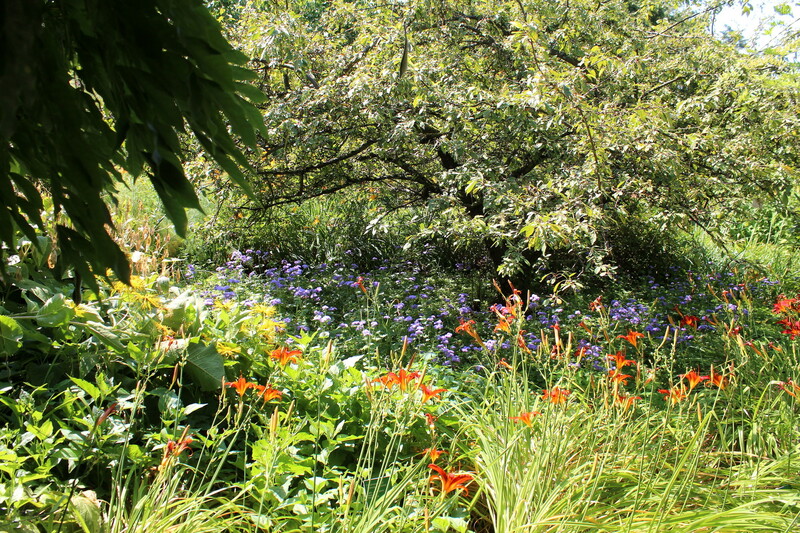 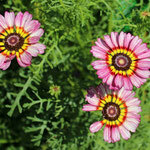 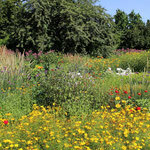 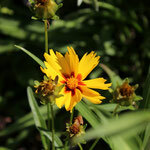 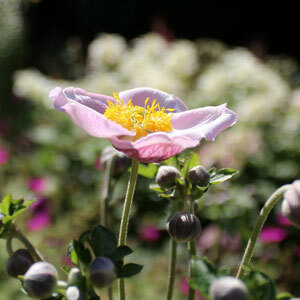 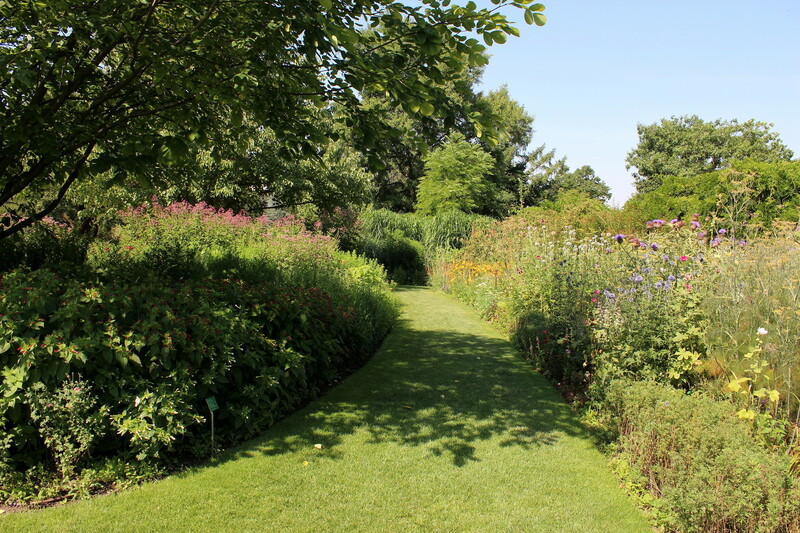 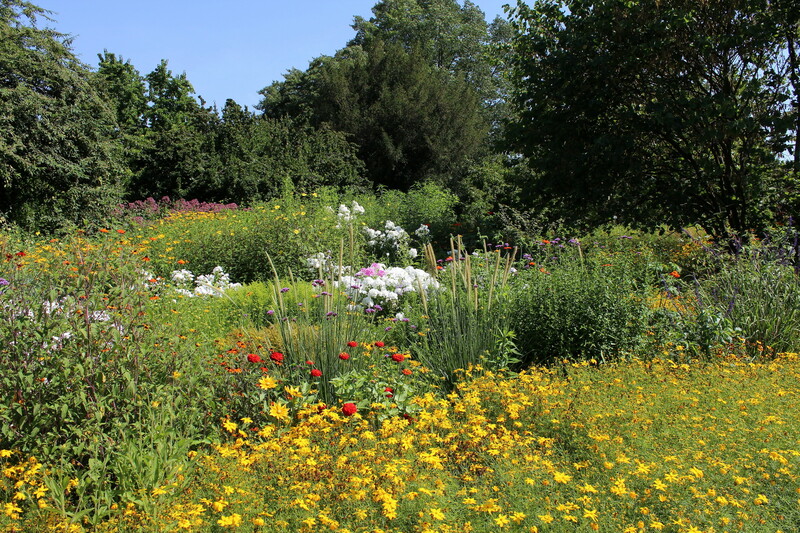 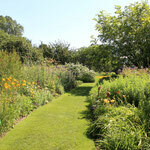 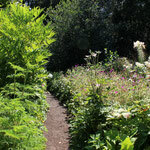 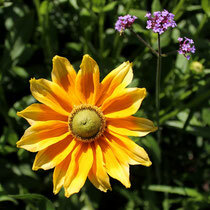 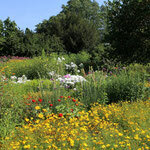 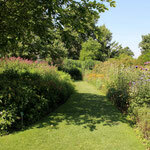 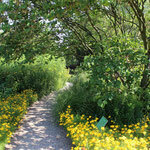 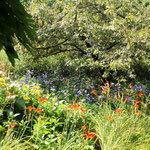 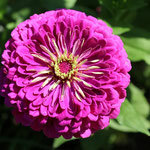 The garden shows about 2500 different perennials. 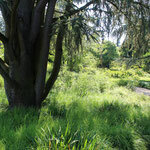 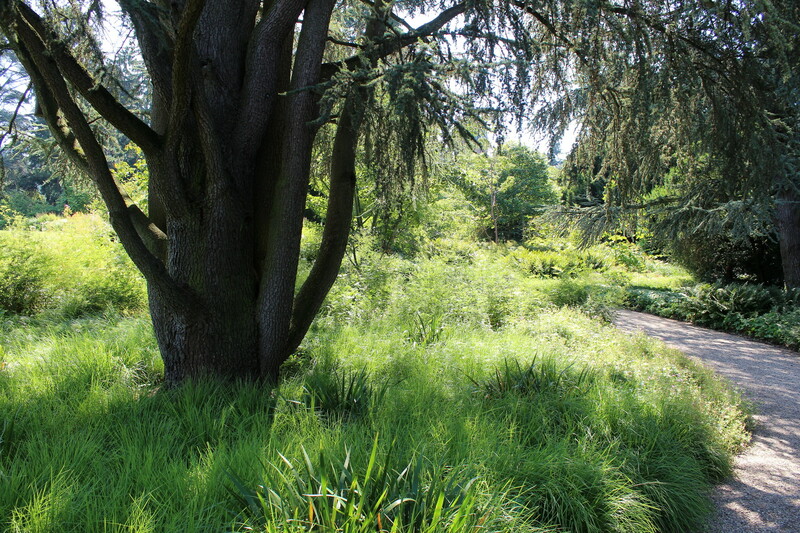 Moreover is the garden formed by very old trees, which are partially very rare in Germany. 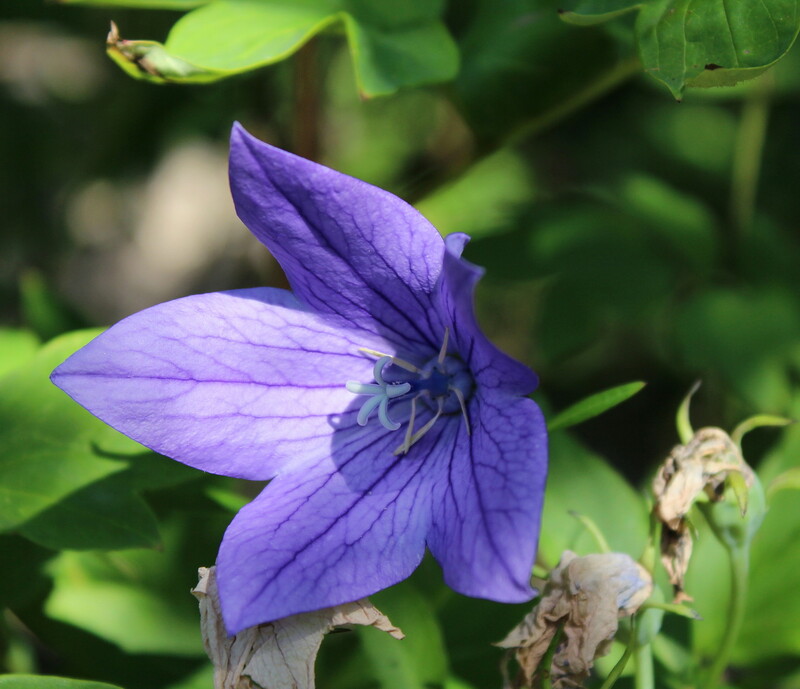 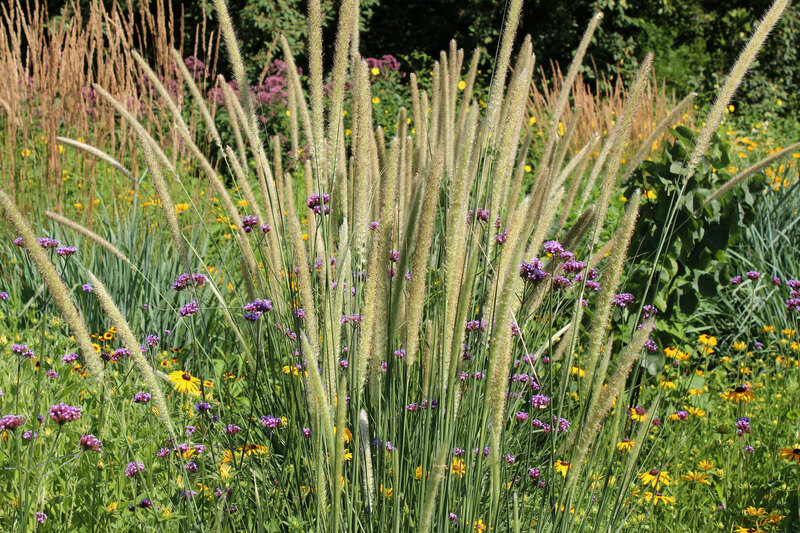 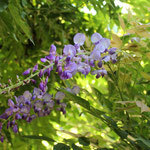 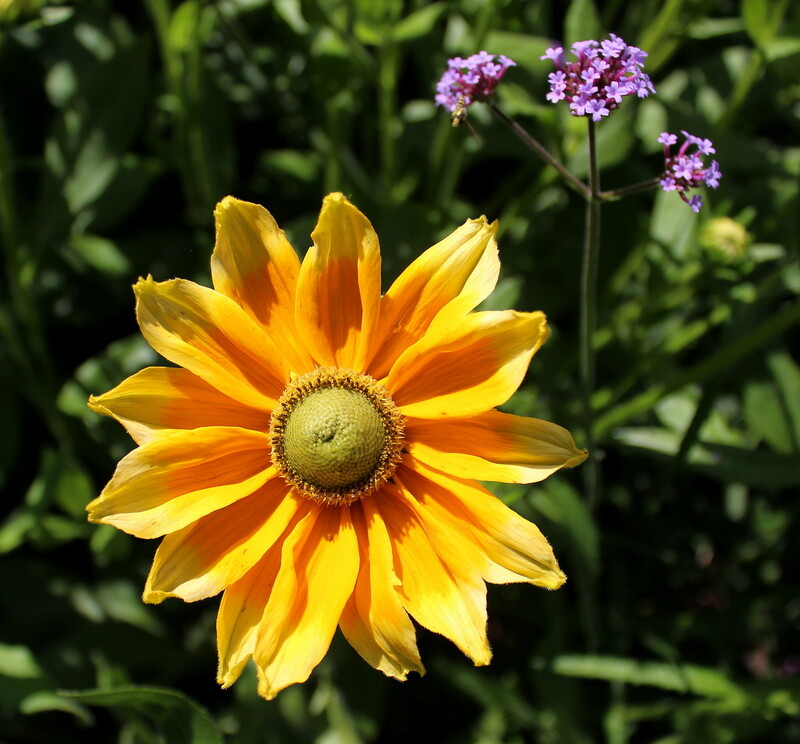 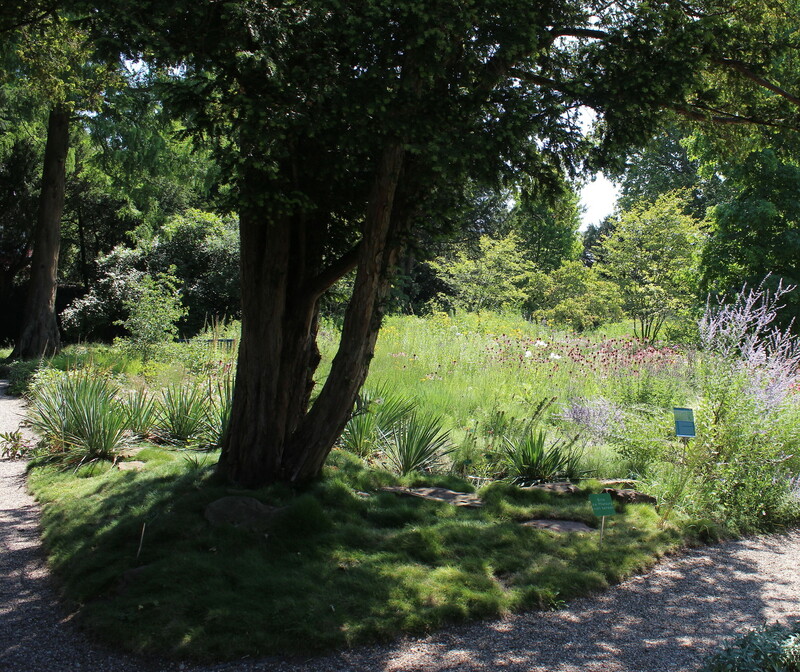 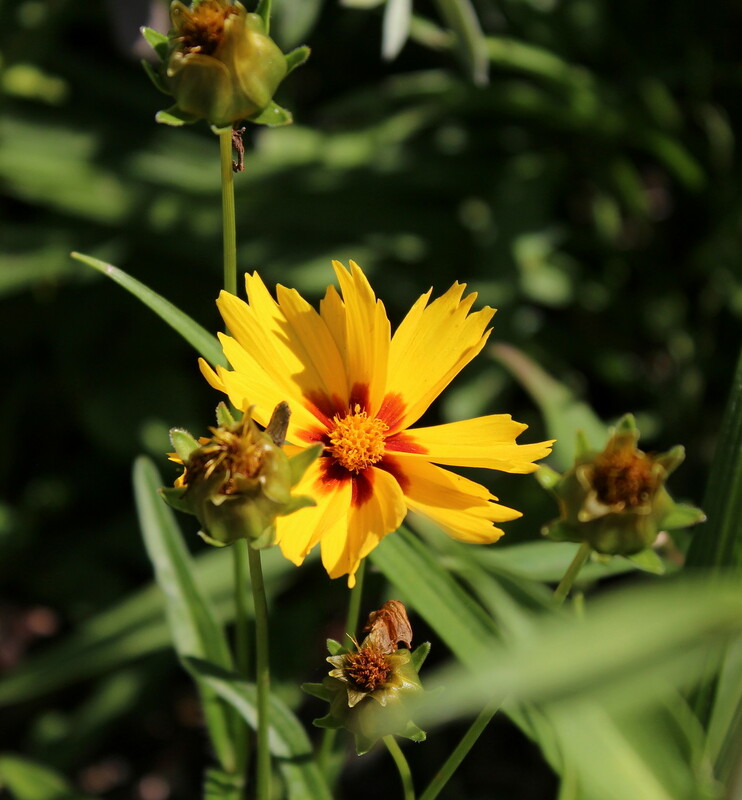 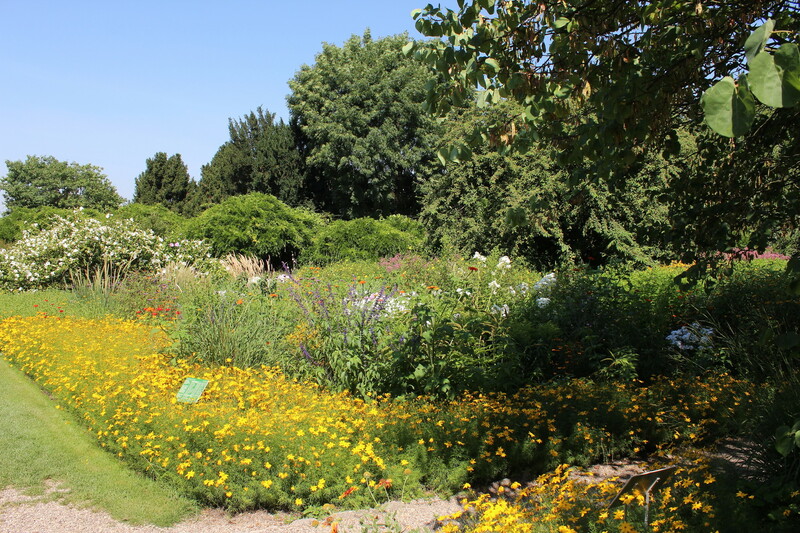 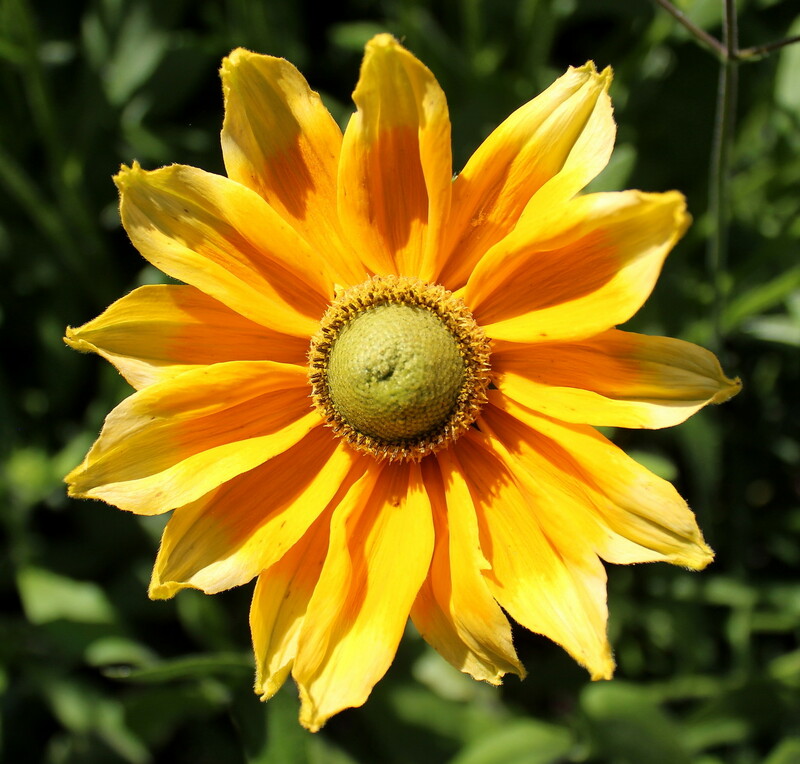 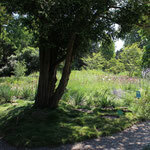 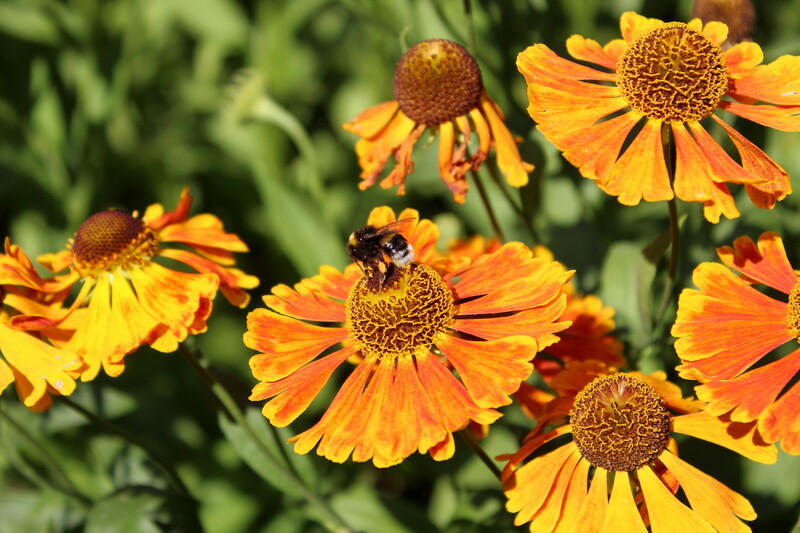 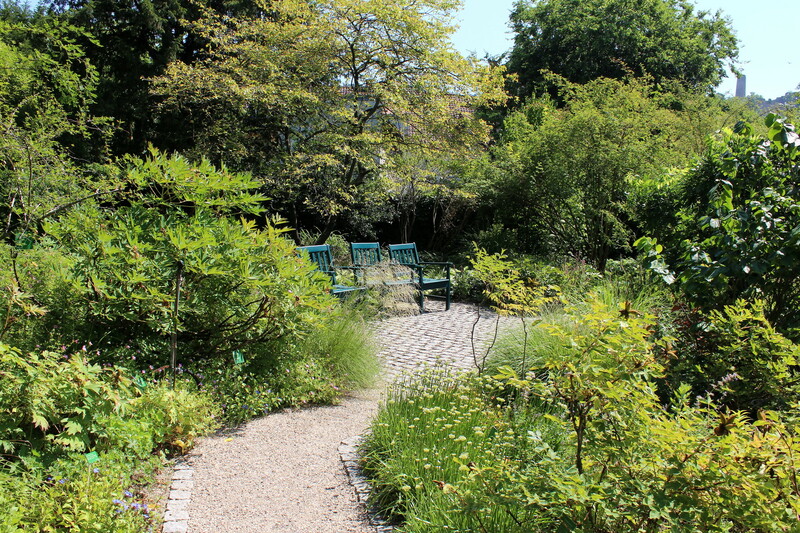 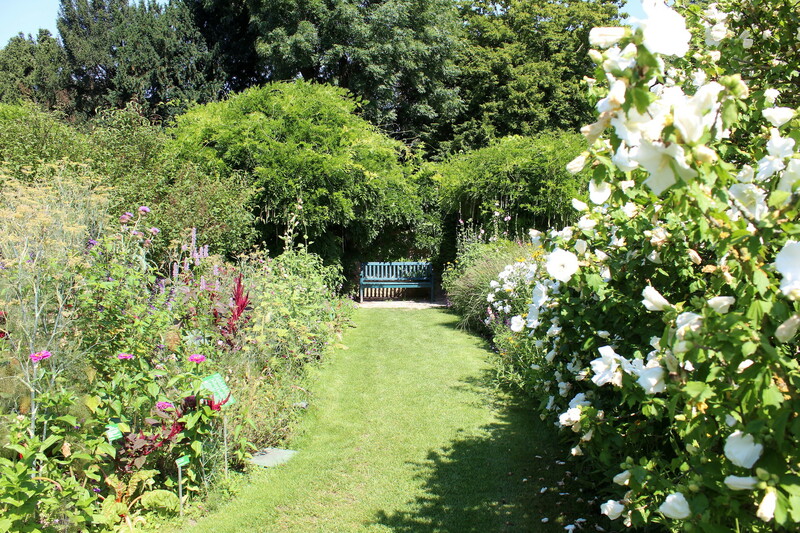 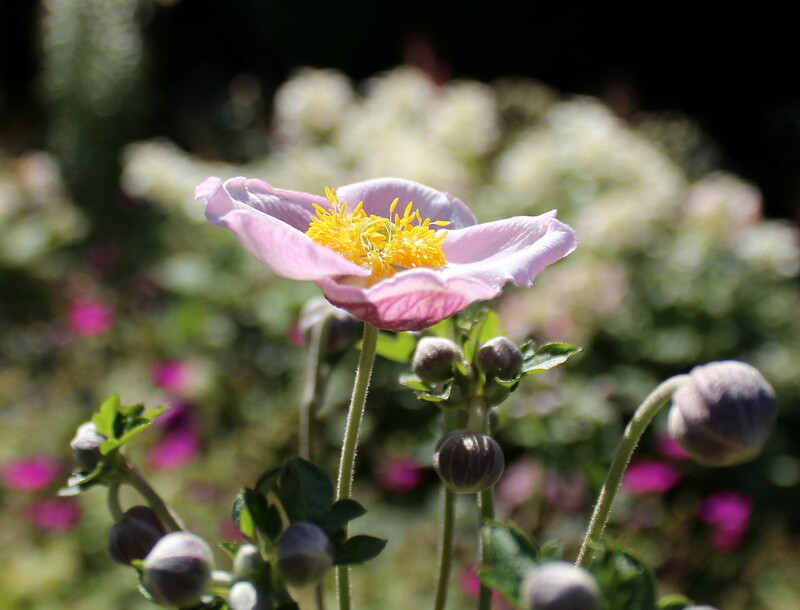 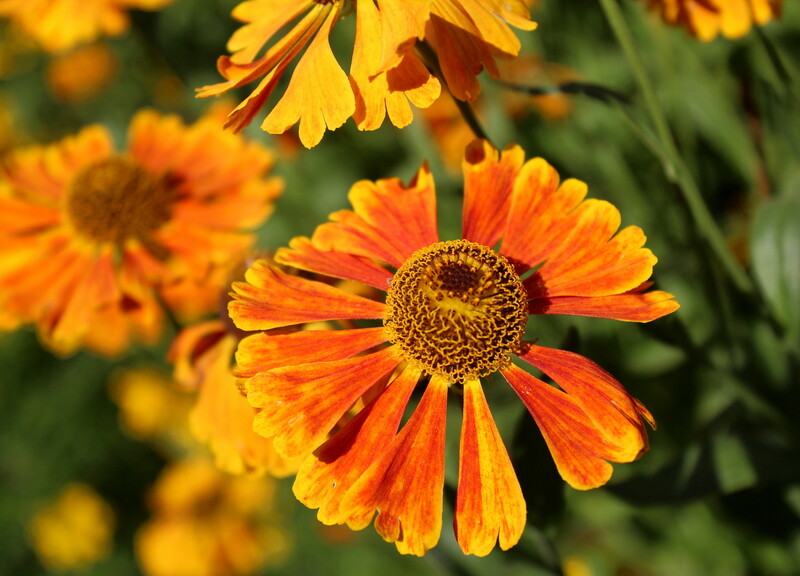 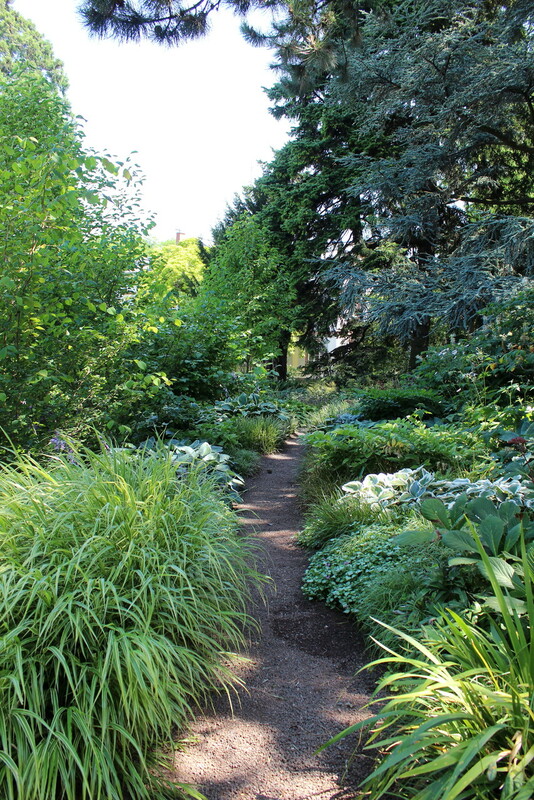 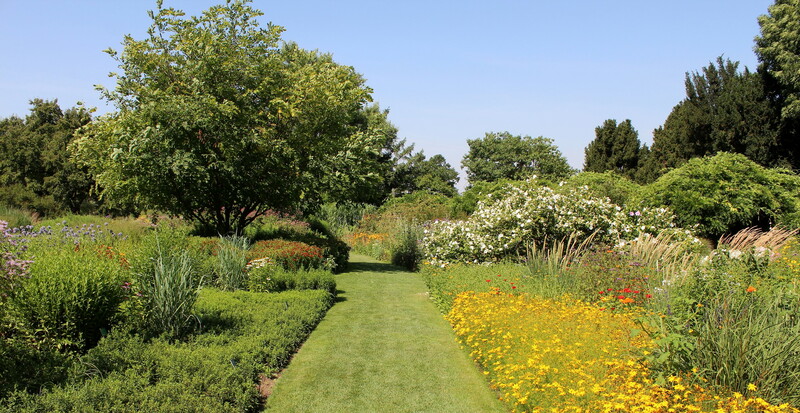 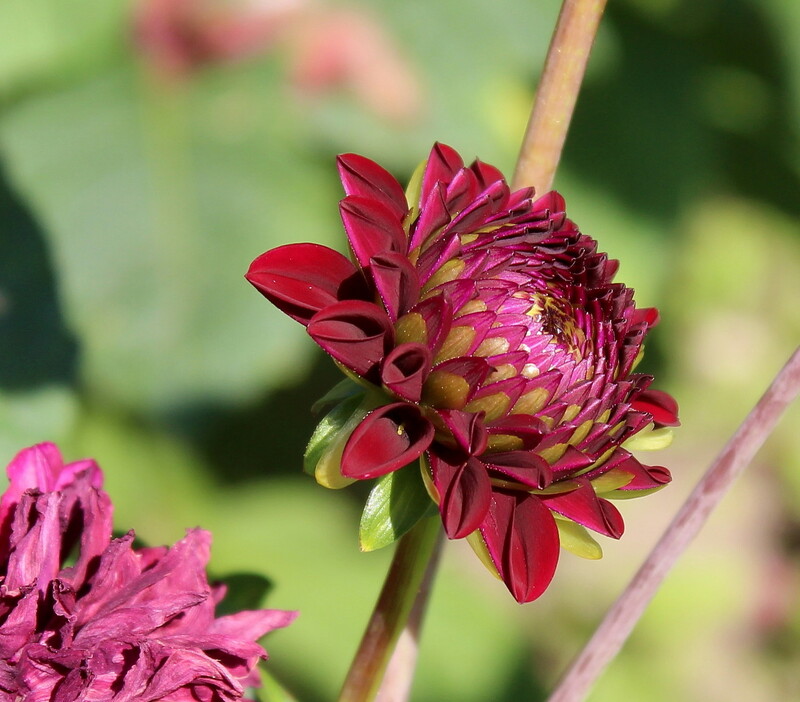 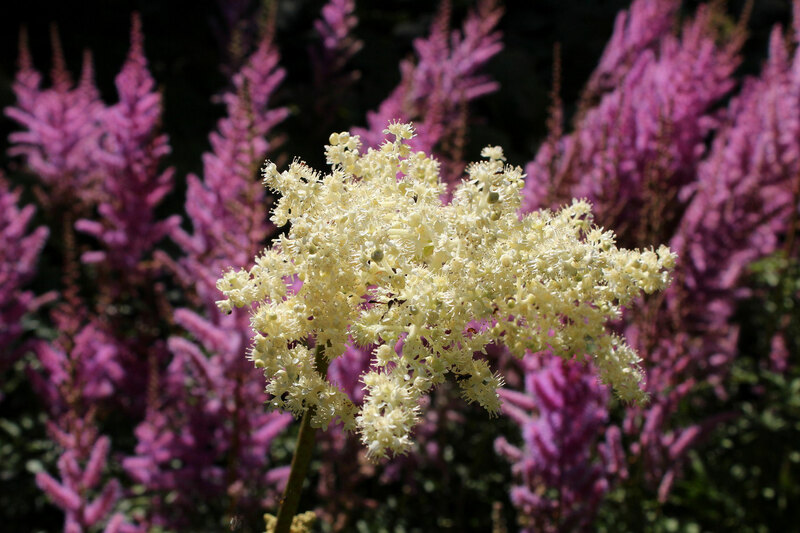 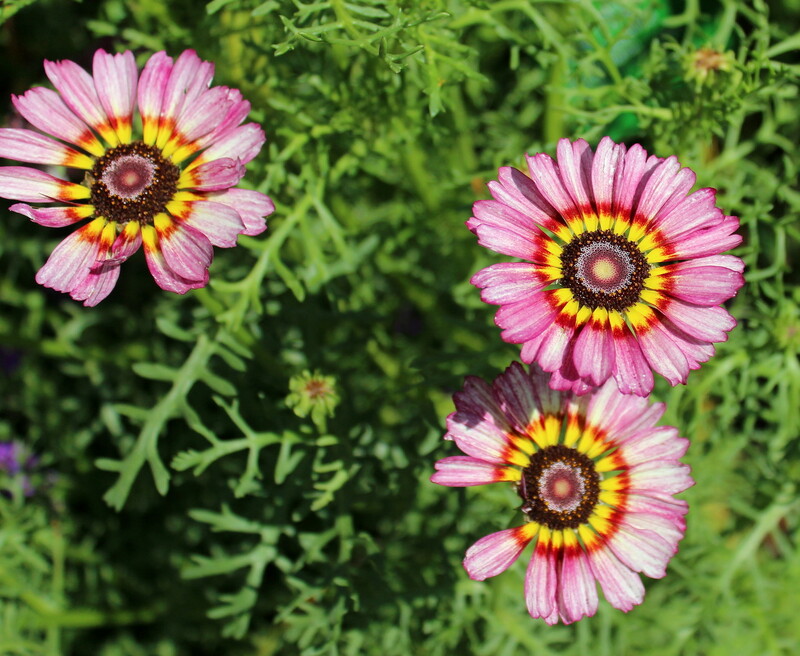 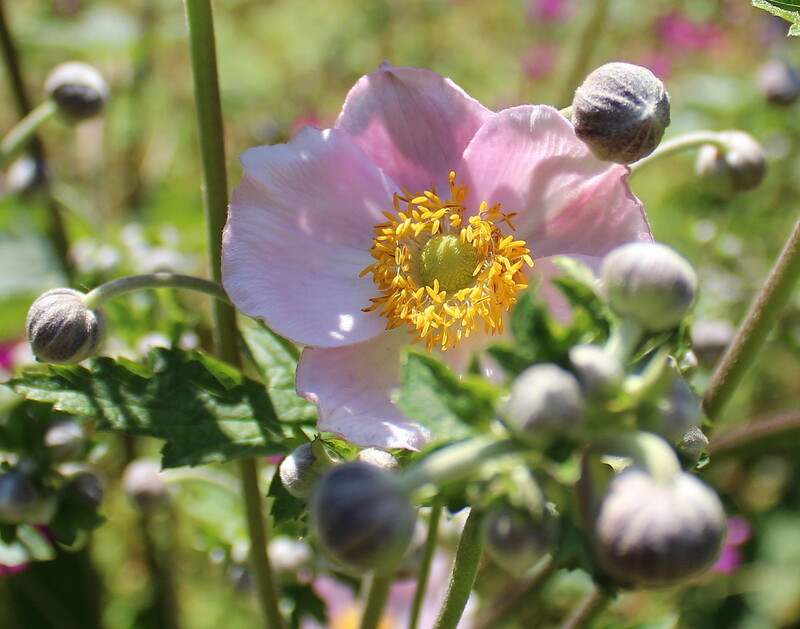 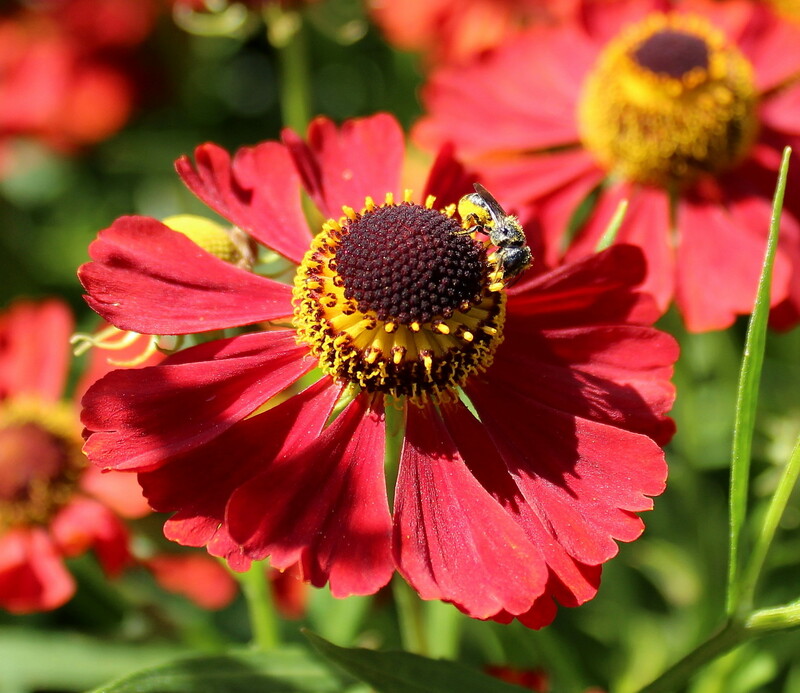 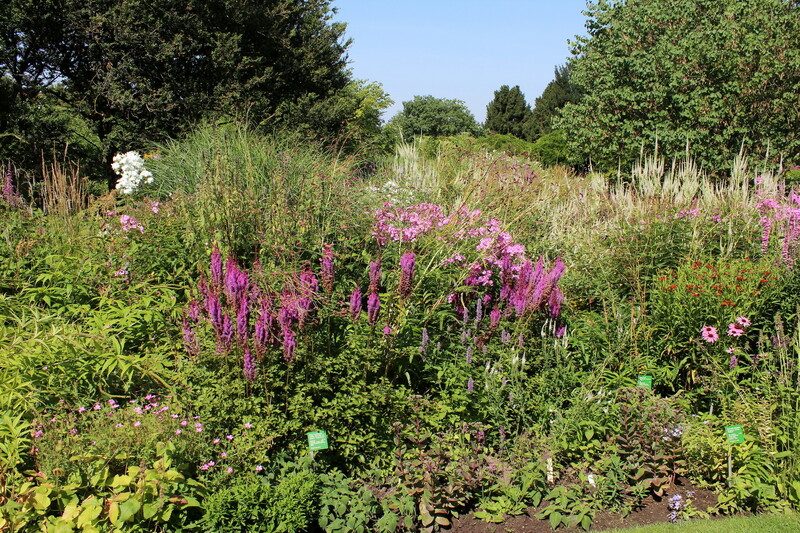 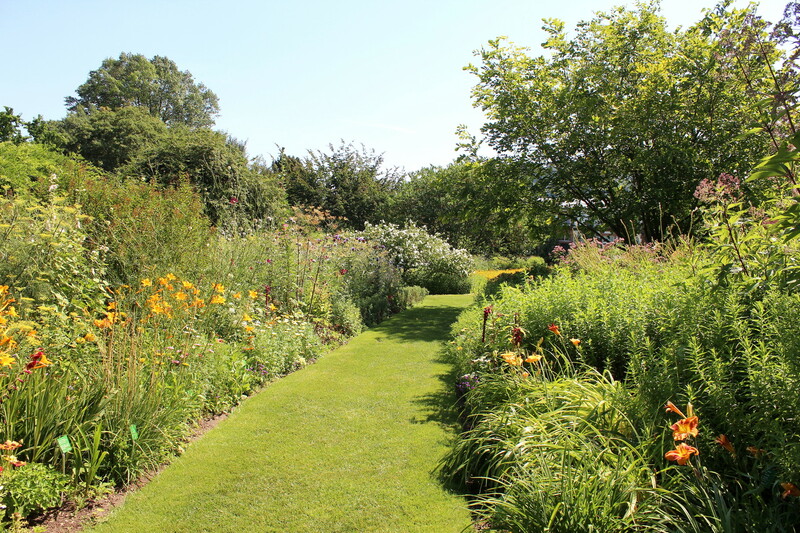 3. to establish permanent plant communities with low maintainance and high attraction"
While walking through the garden it struck me that there does not seem to be a set order of things but rather "themes" - the majority of them very colorful. 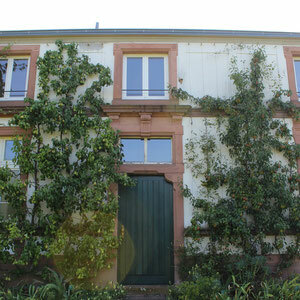 Close to the entrance is a house where you can buy seeds in case you want to create your own experimental garden at home. 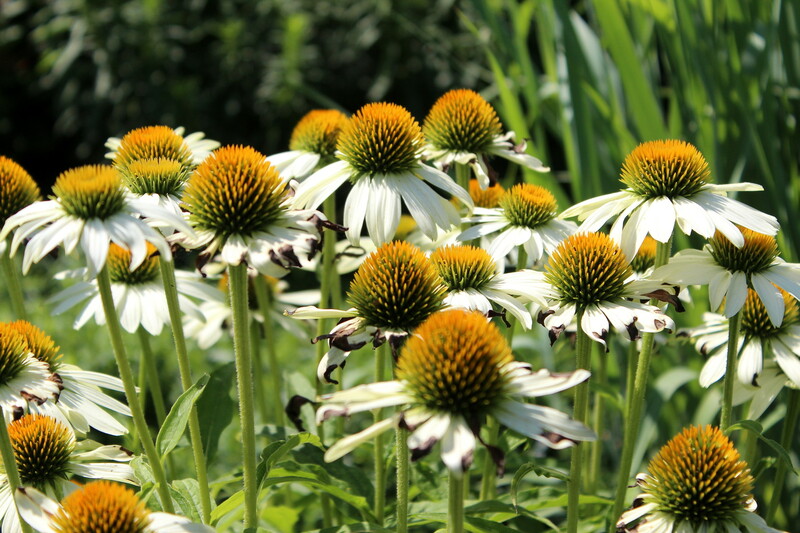 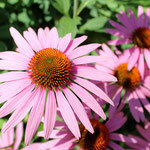 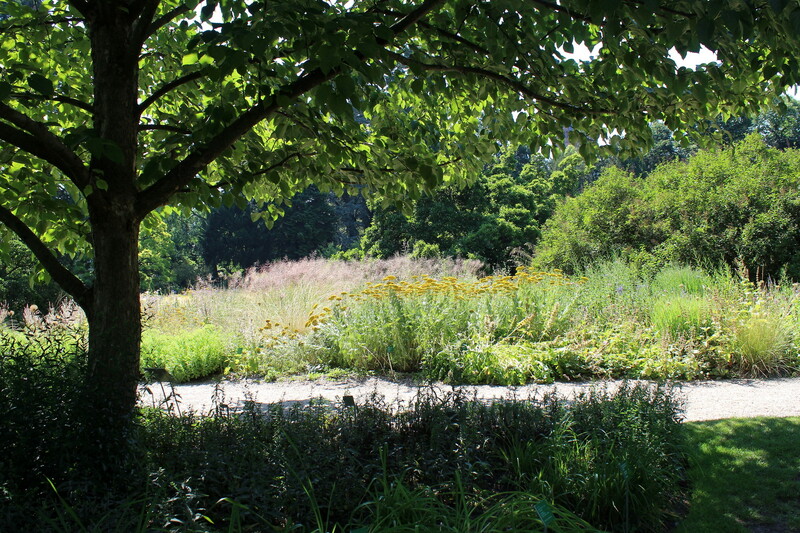 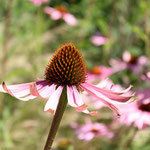 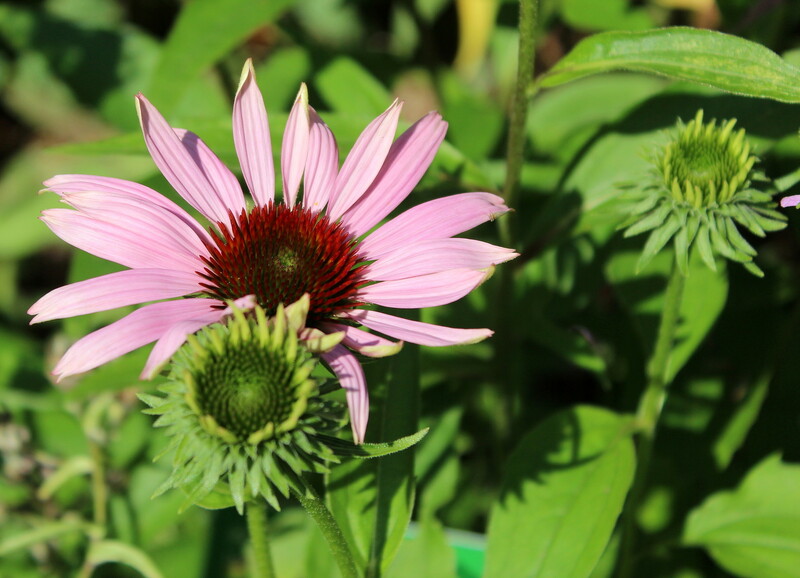 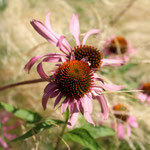 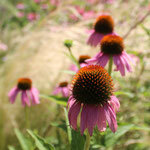 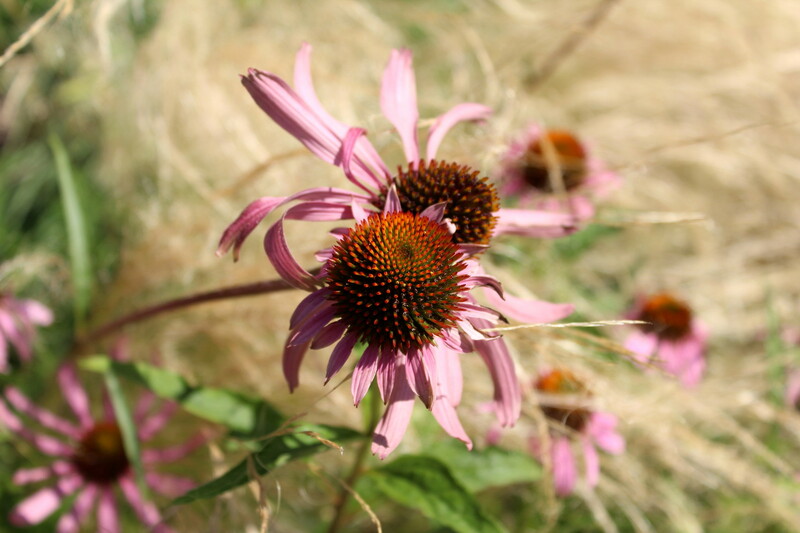 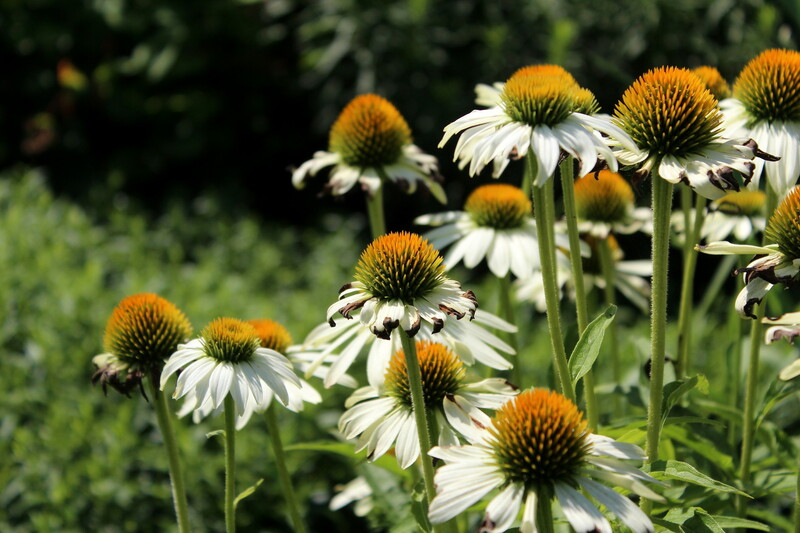 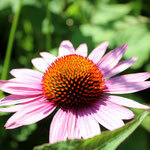 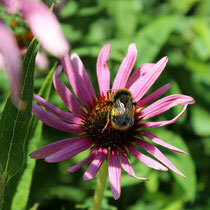 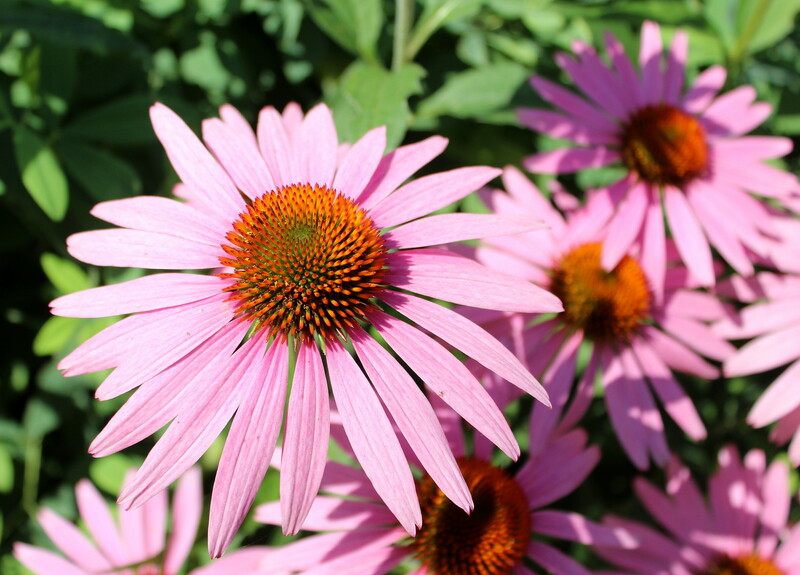 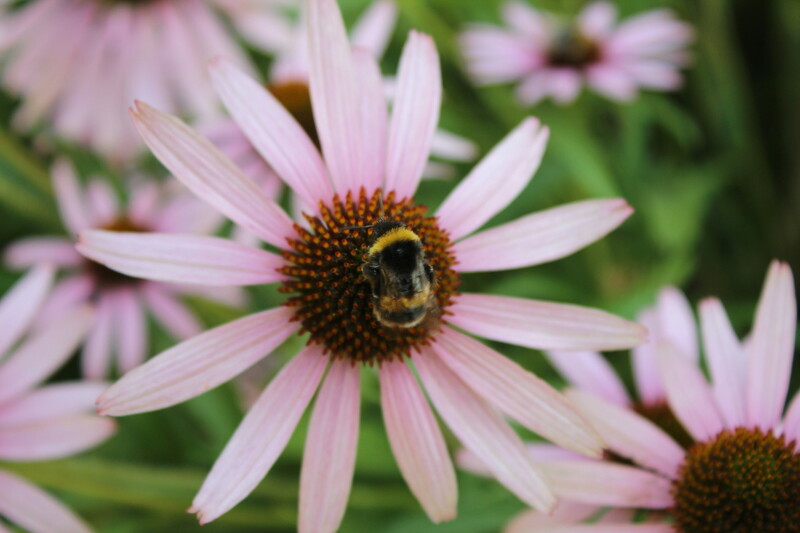 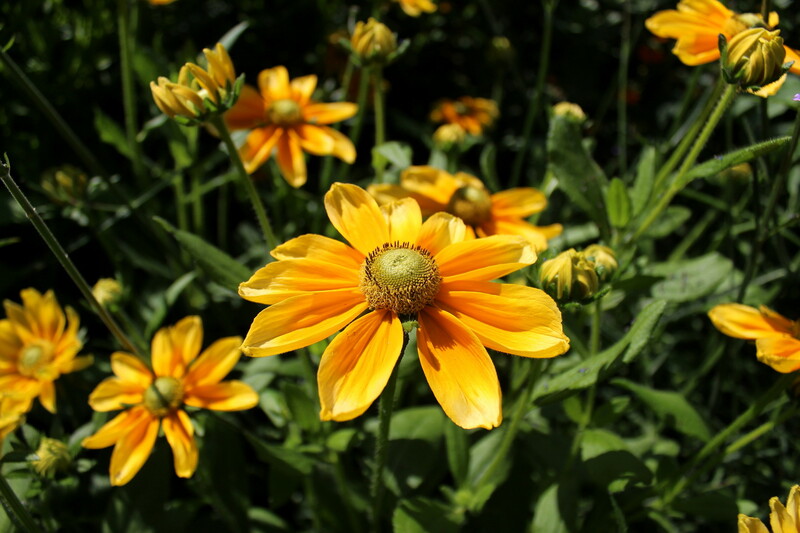 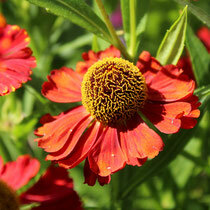 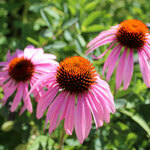 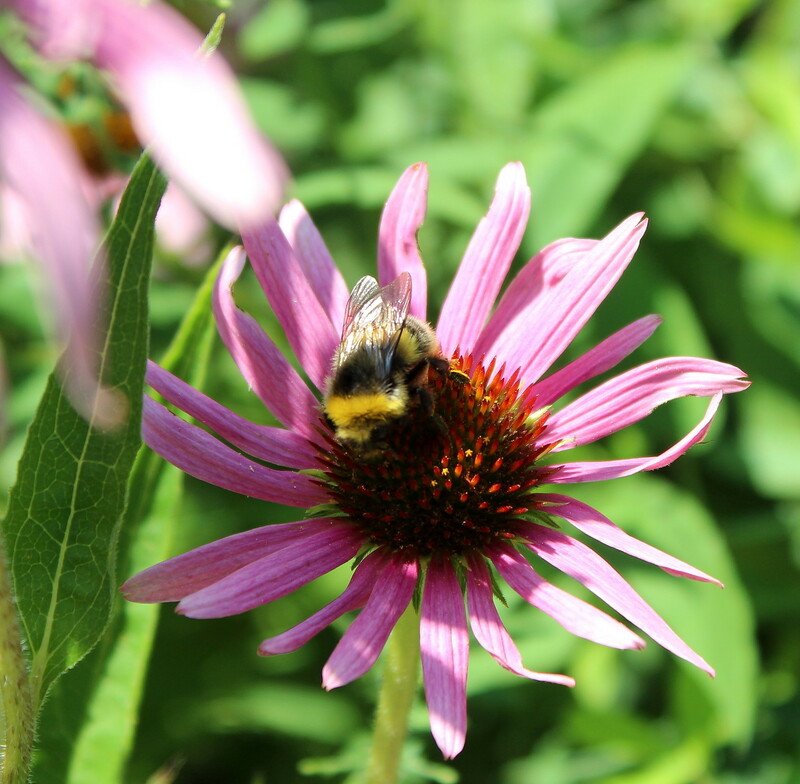 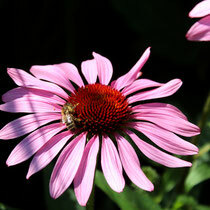 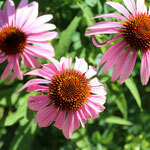 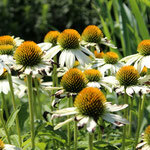 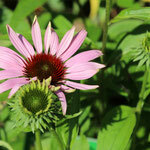 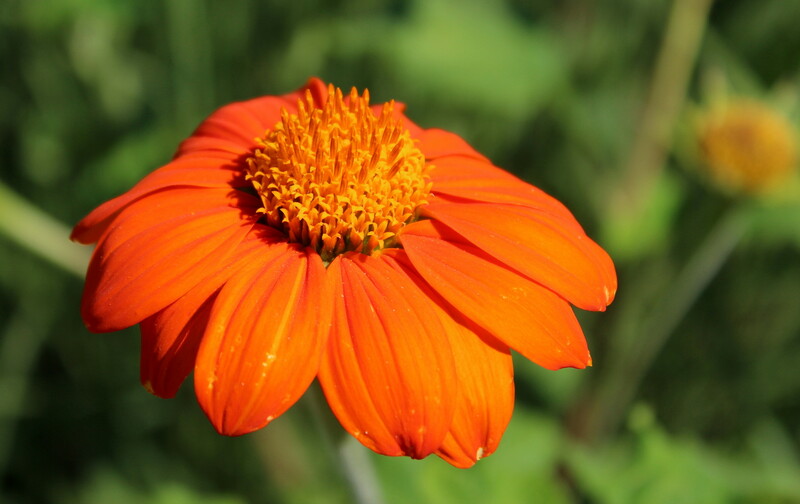 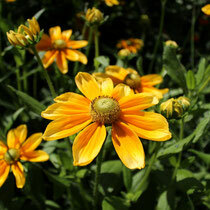 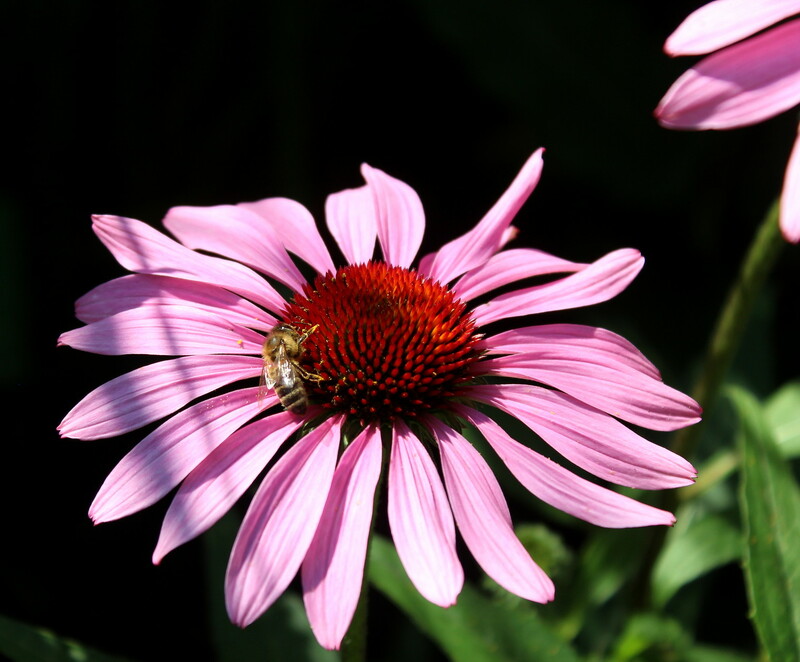 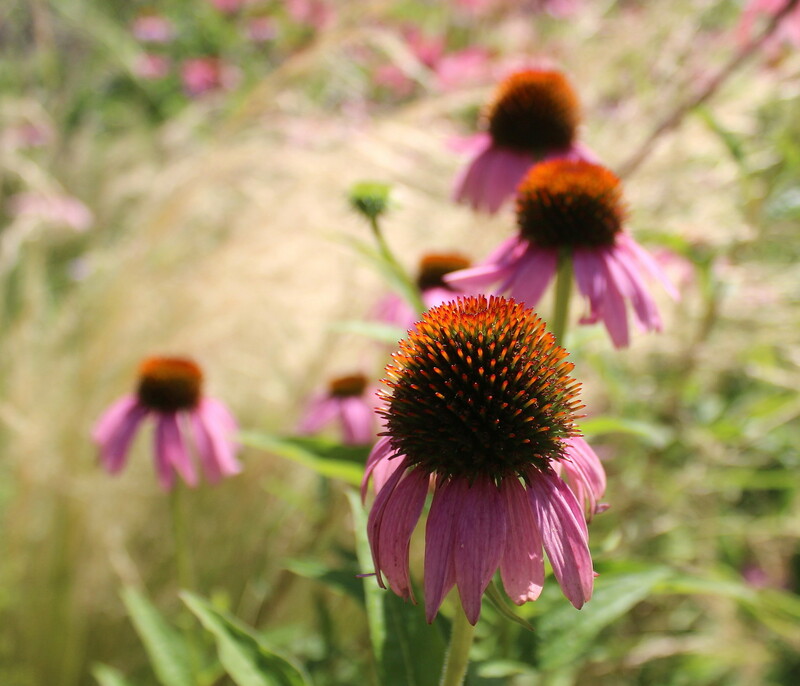 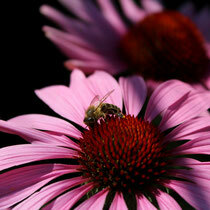 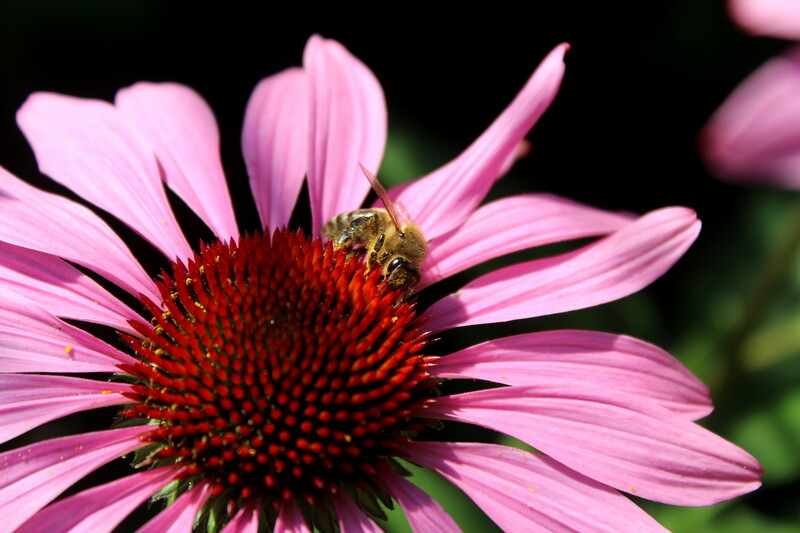 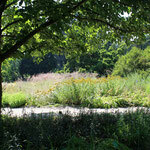 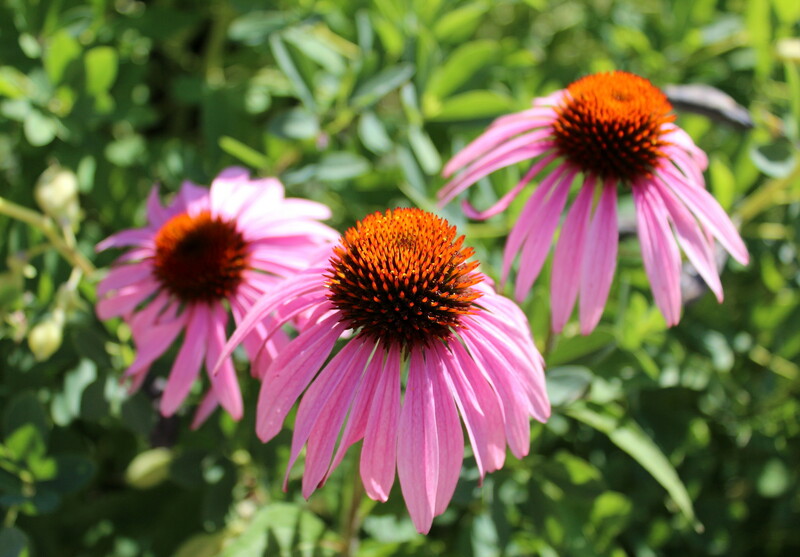 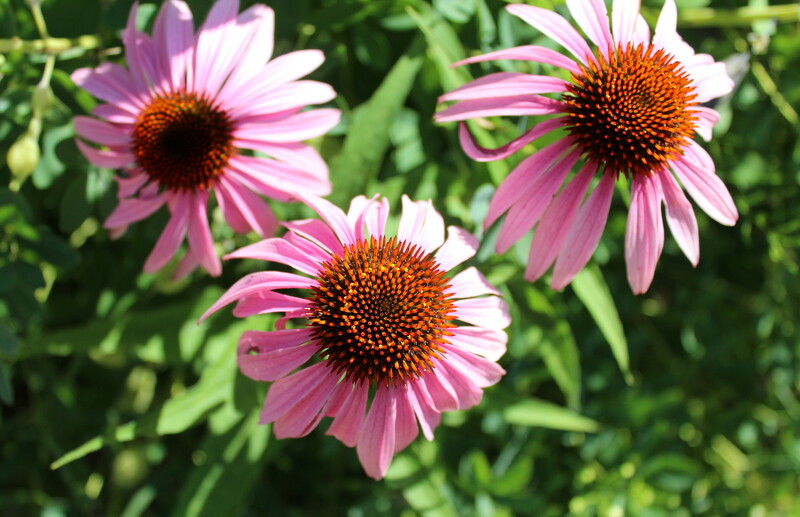 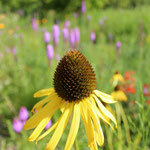 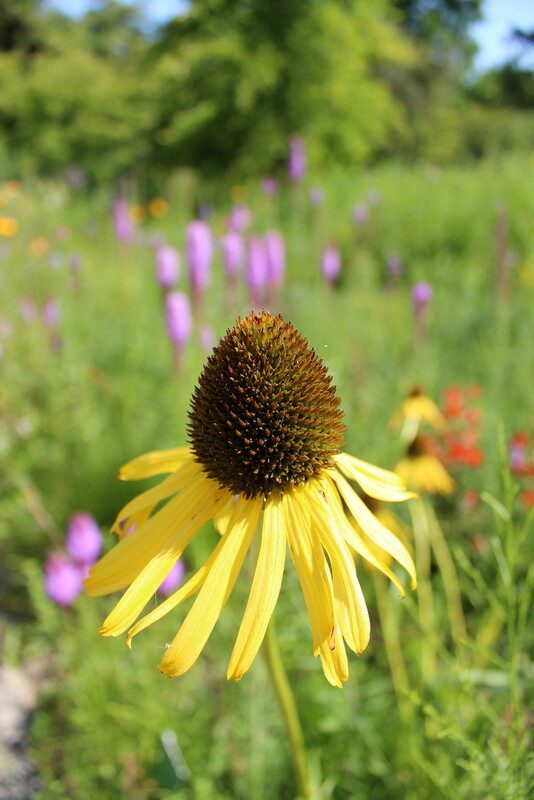 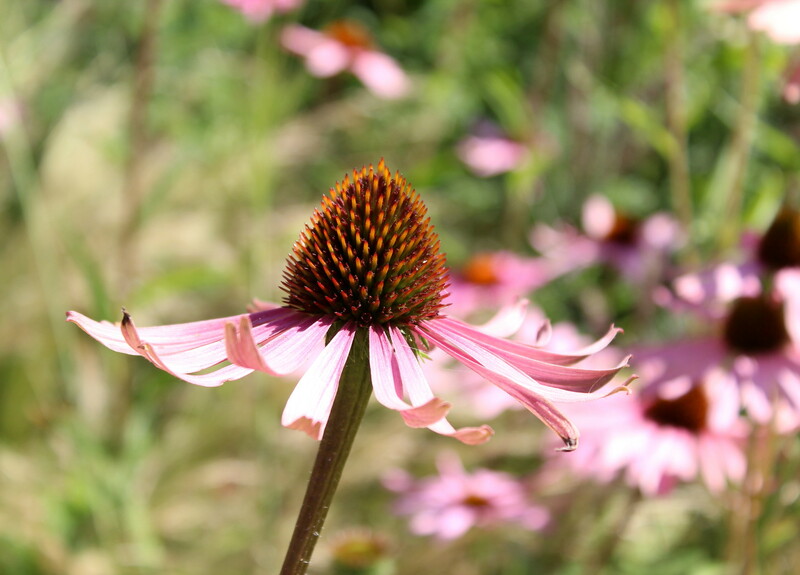 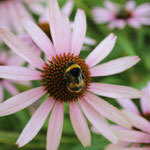 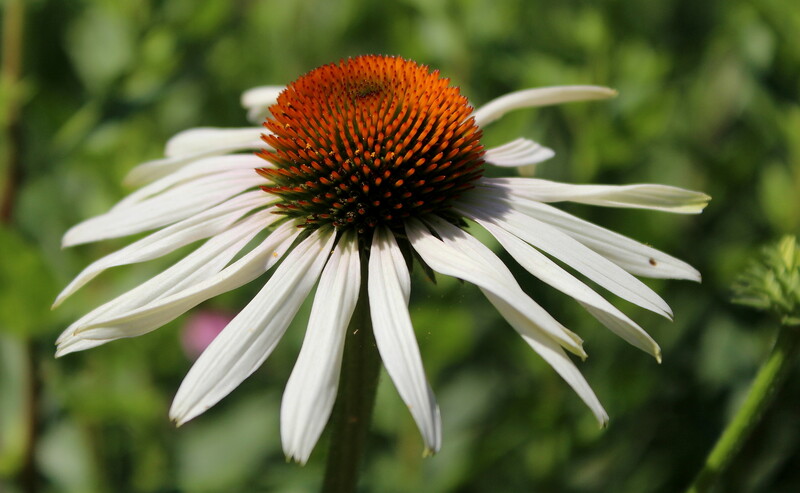 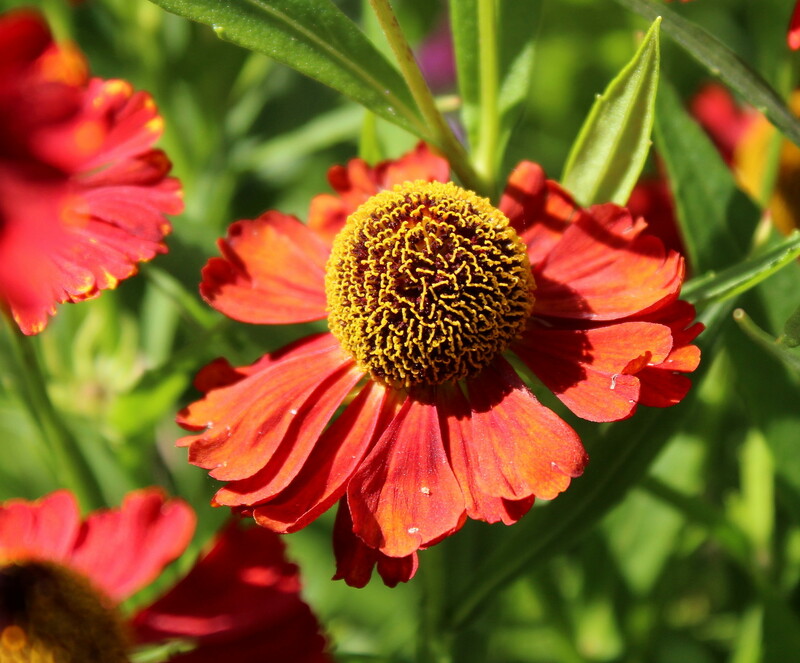 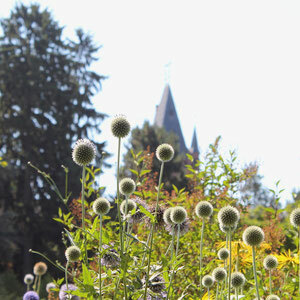 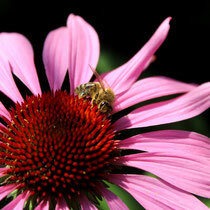 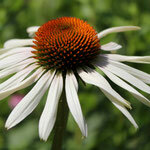 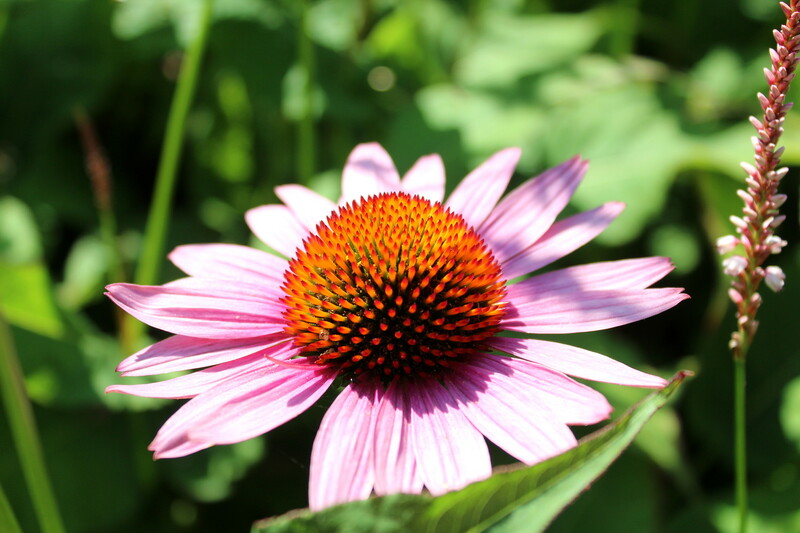 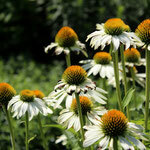 One of the meadows is dedicated to the various types of echinacea. 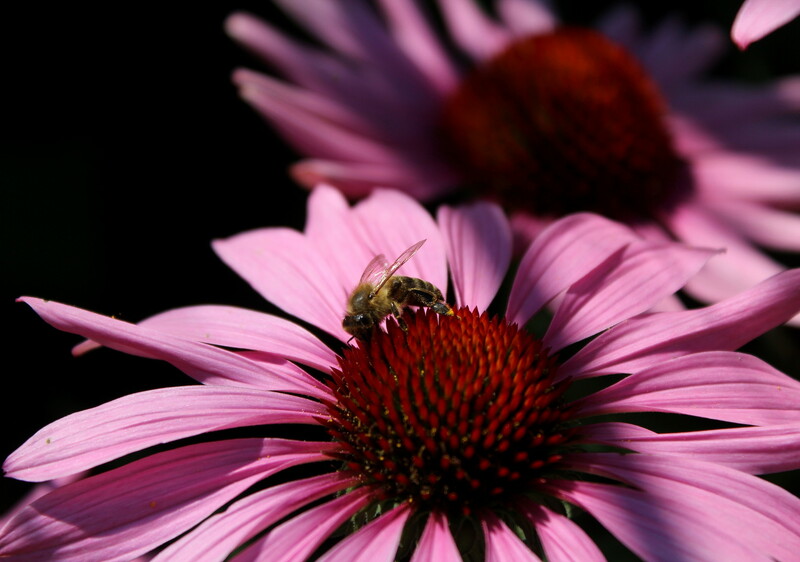 There was a bee that kept going around and around on one of the echinacea blossoms. 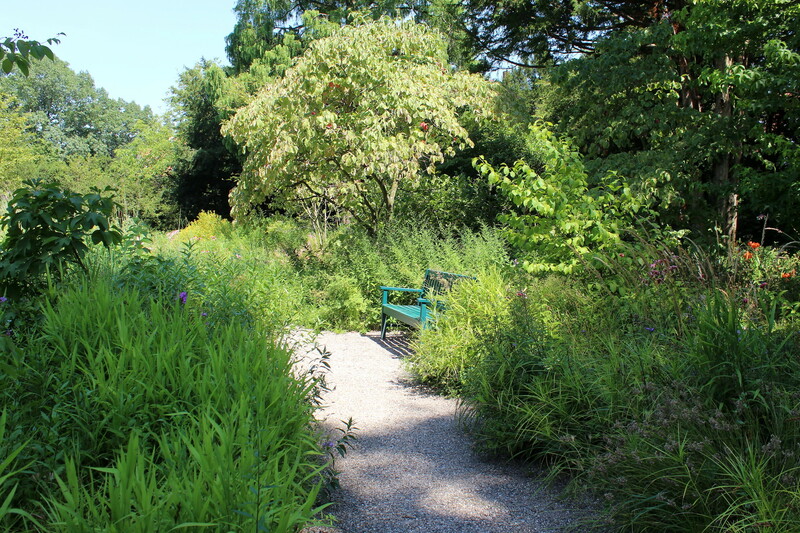 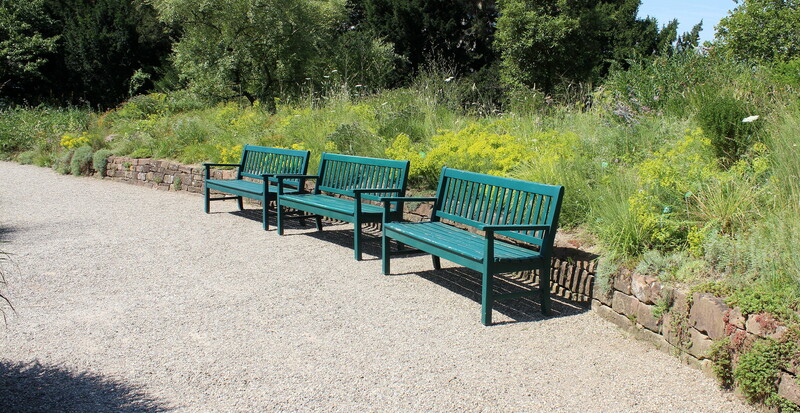 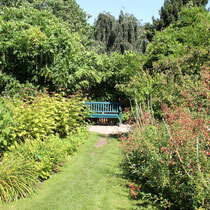 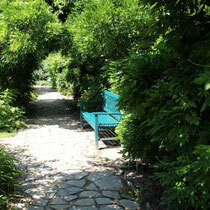 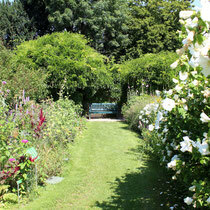 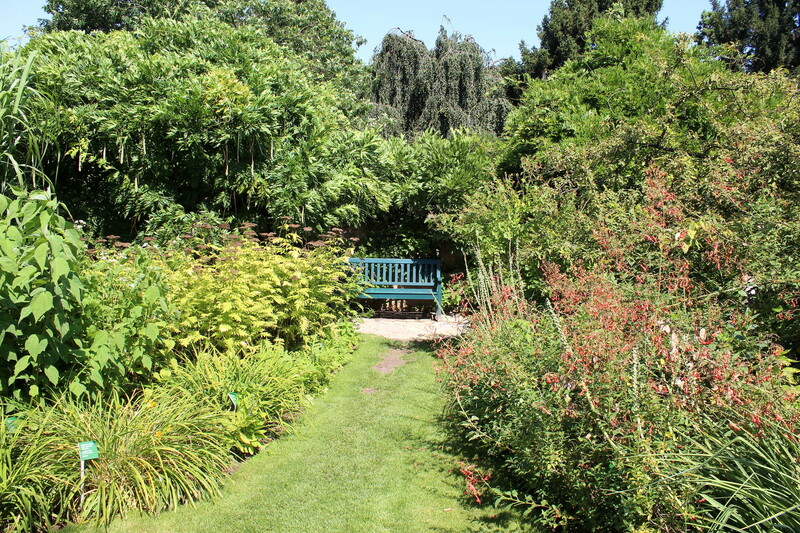 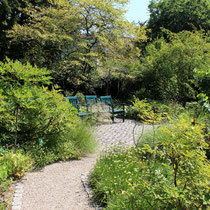 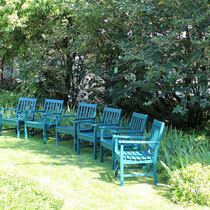 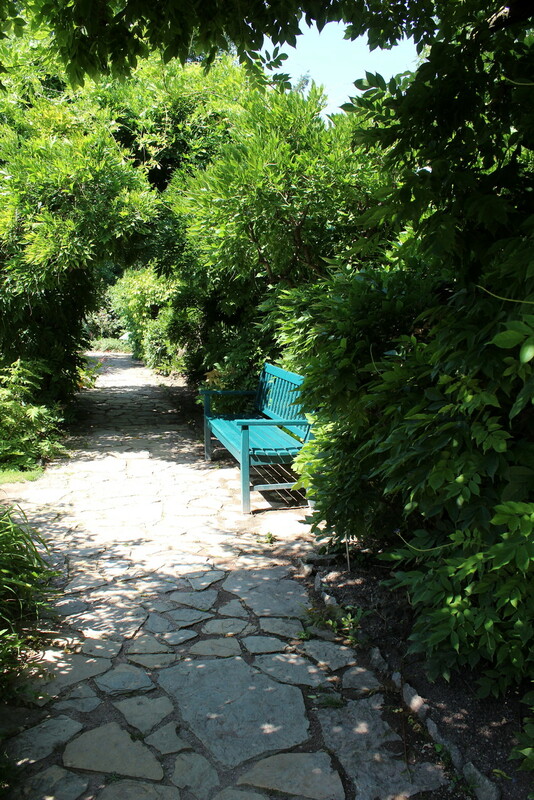 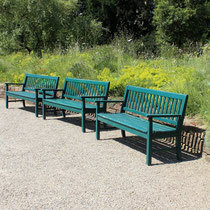 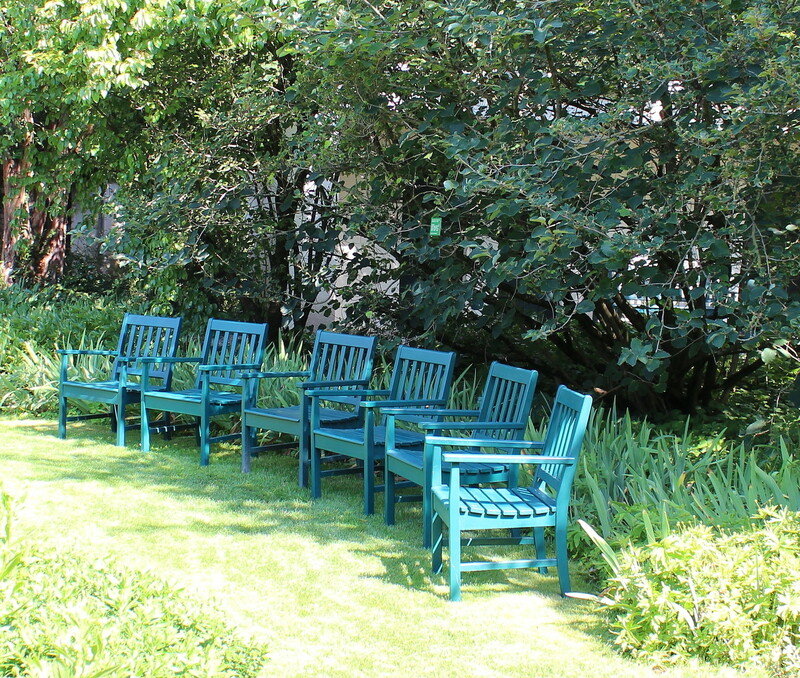 Throughout the garden are benches and chairs that invite people to sit down and enjoy the scenery or even take a nap. 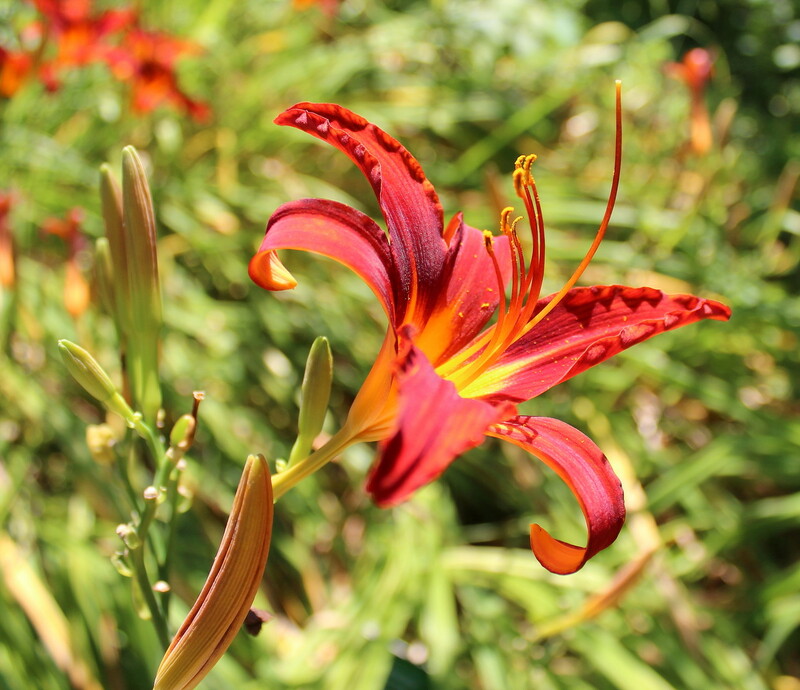 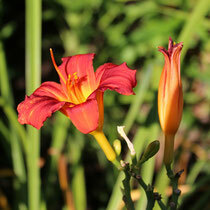 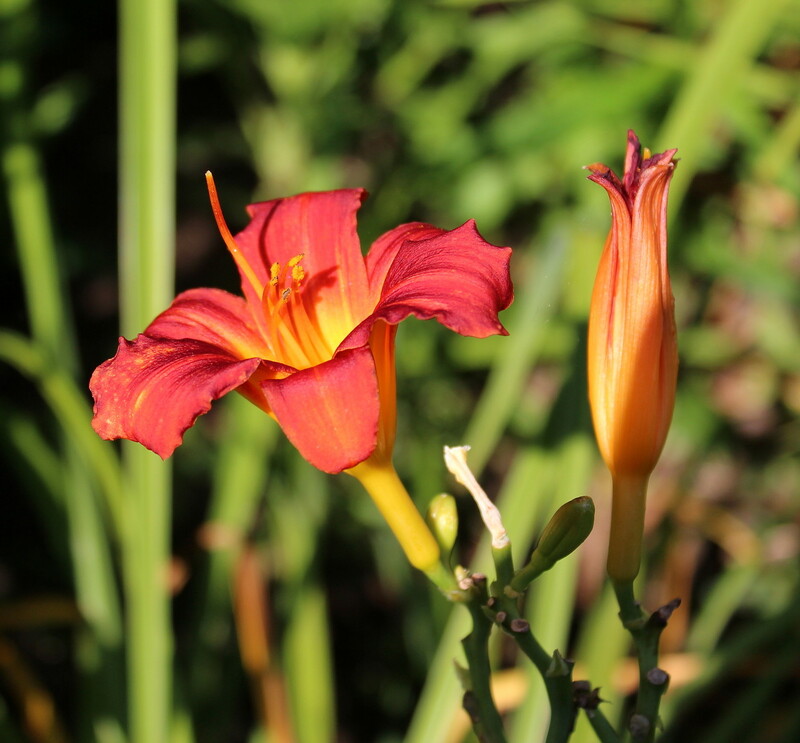 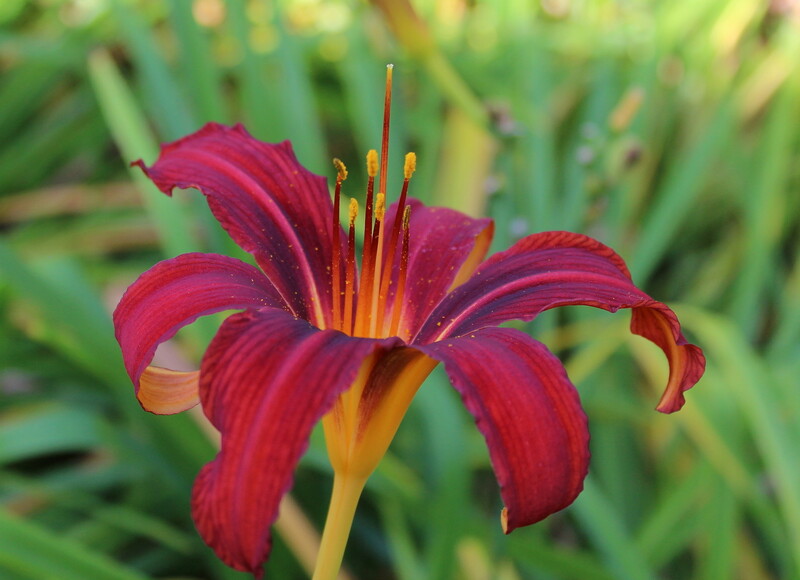 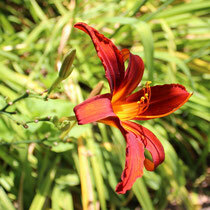 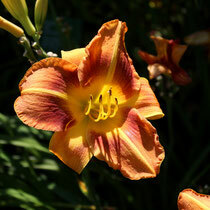 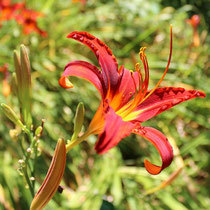 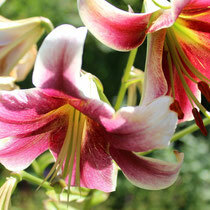 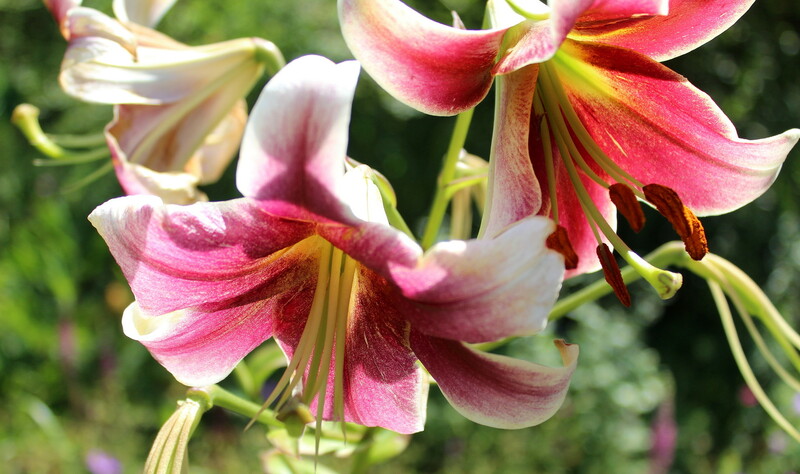 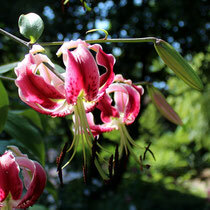 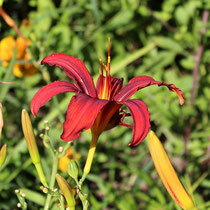 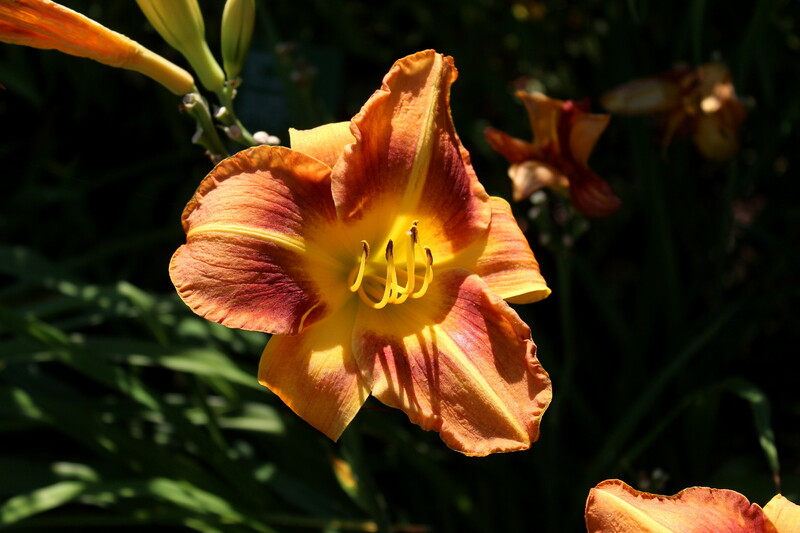 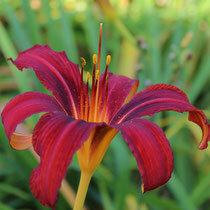 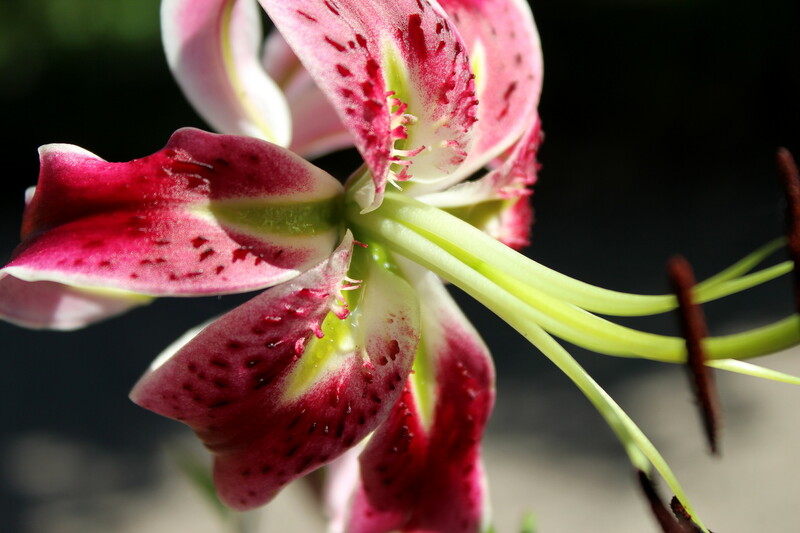 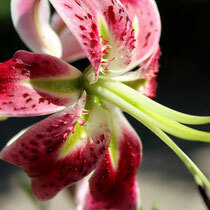 A variety of lilies can be found in the garden. 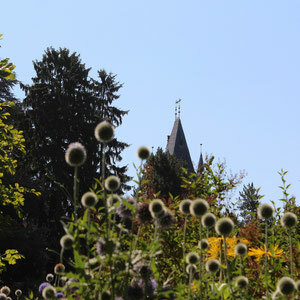 The view towards the tower of one of the fortresses of Weinheim. 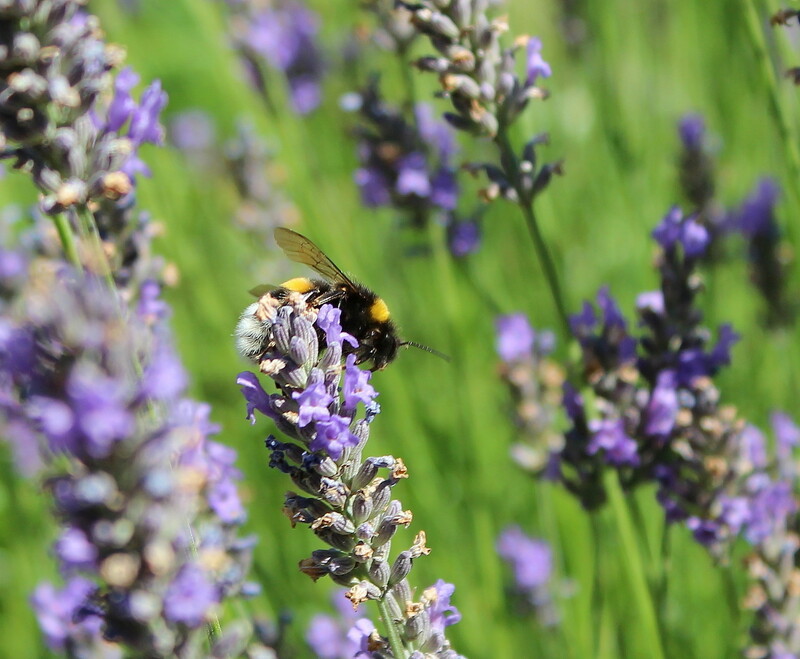 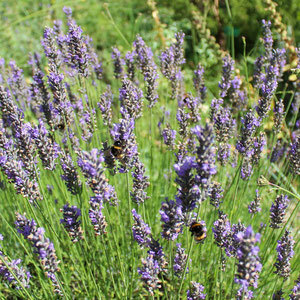 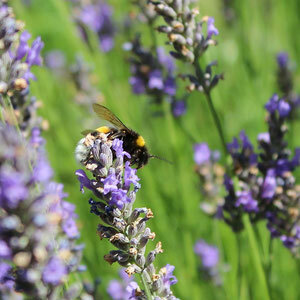 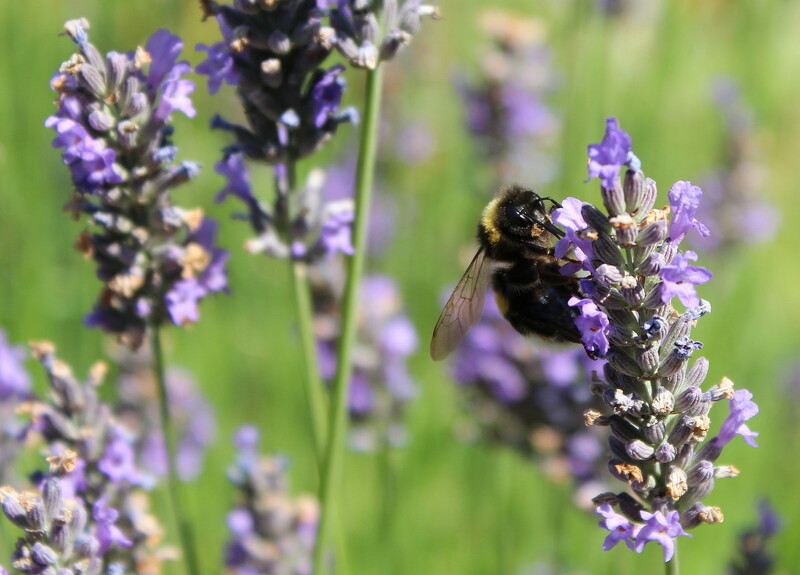 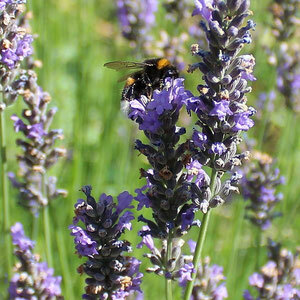 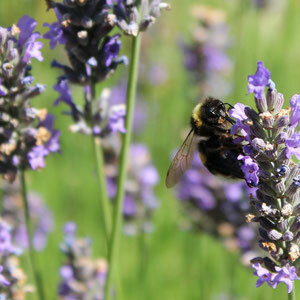 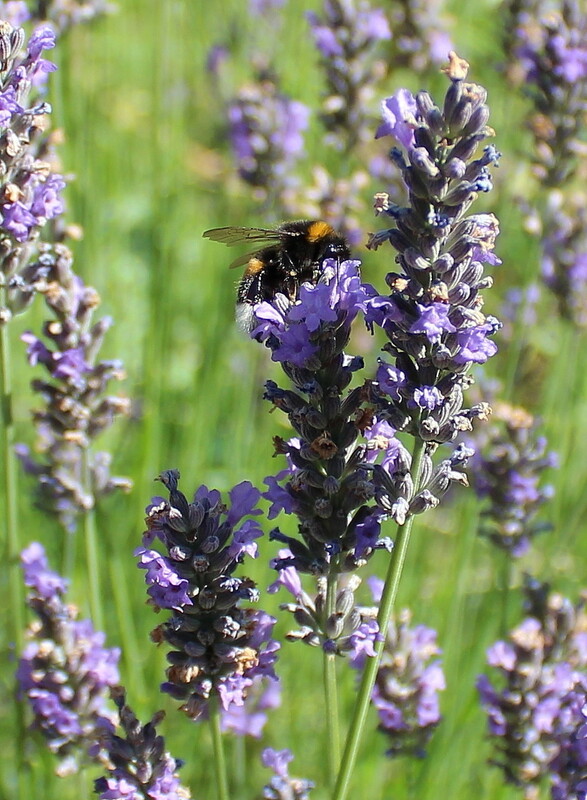 As you can see on some of the pictures bees are quite common around the flowers - but while there were some of them around the lavender too it belonged mostly to the bumblebees. 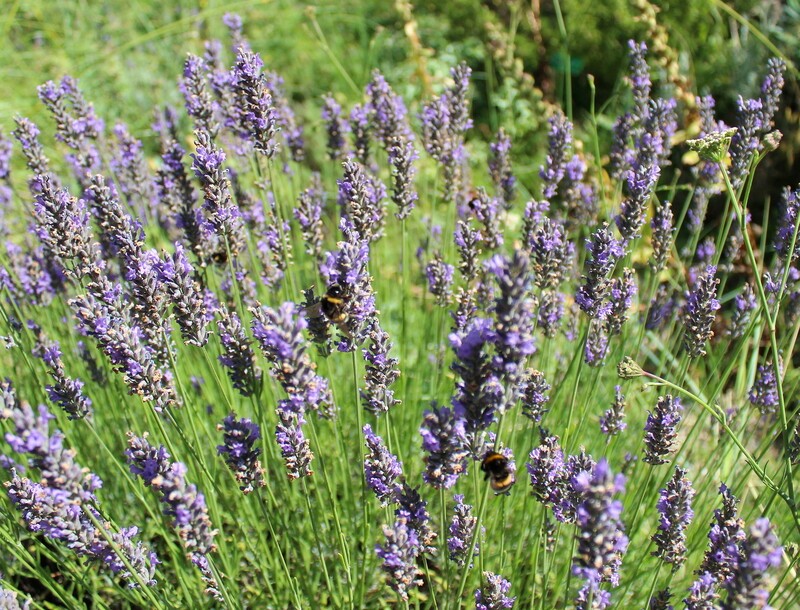 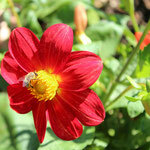 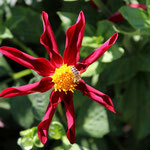 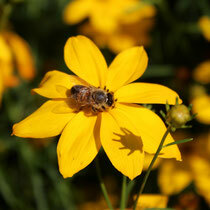 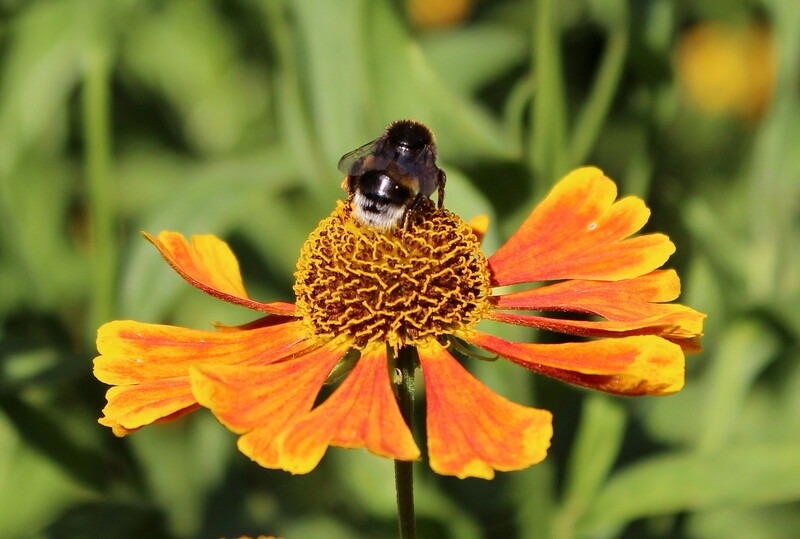 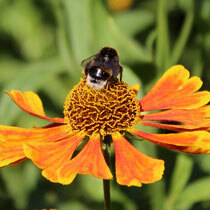 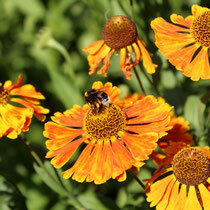 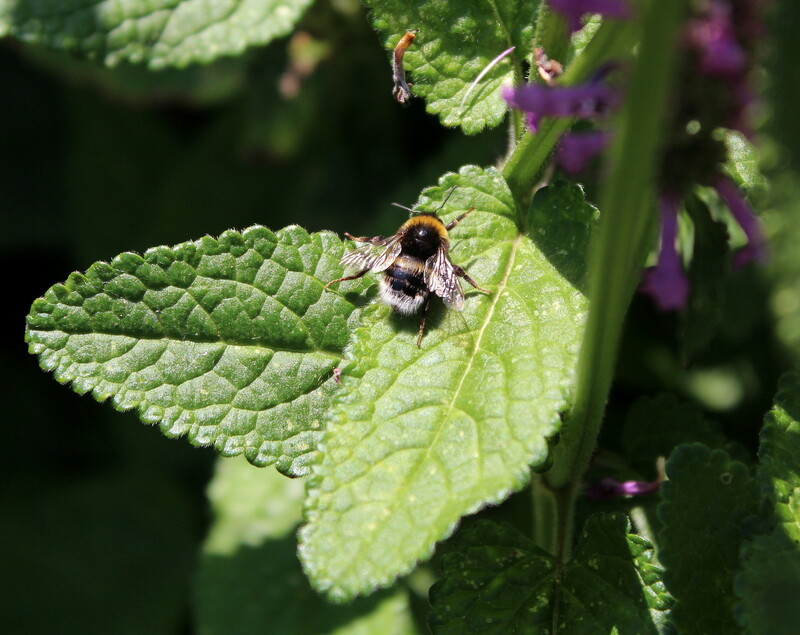 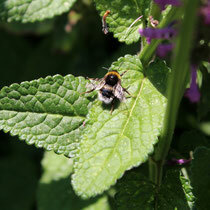 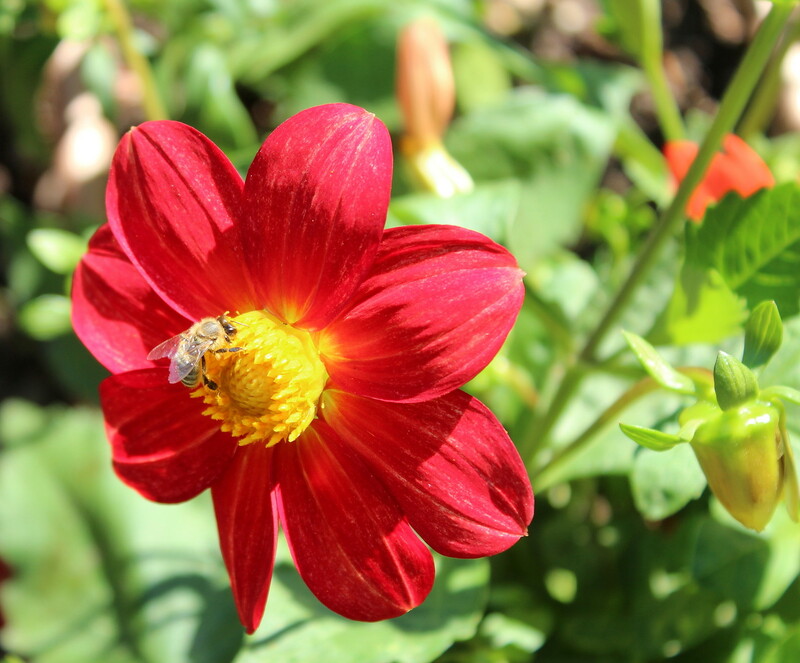 The garden seems to be a paradise for bees and bumblebees. 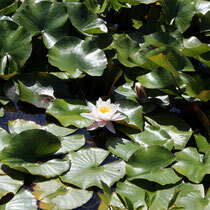 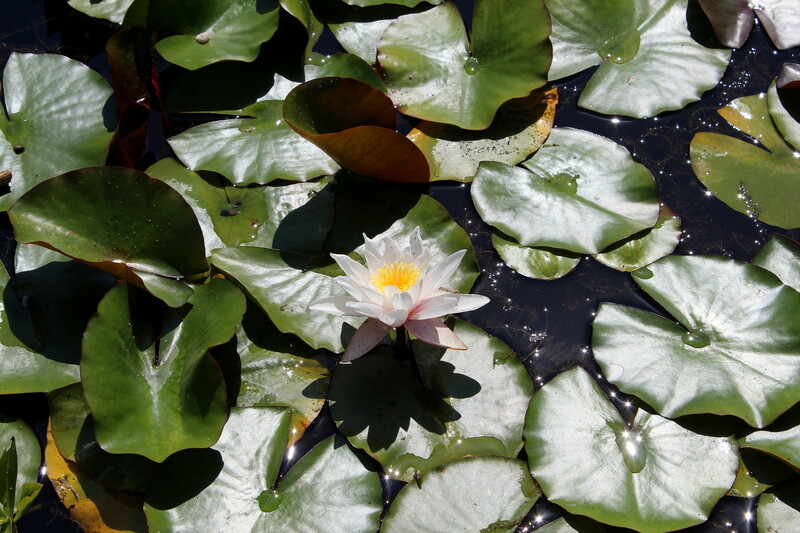 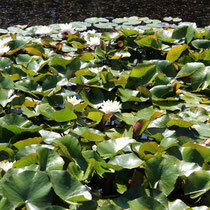 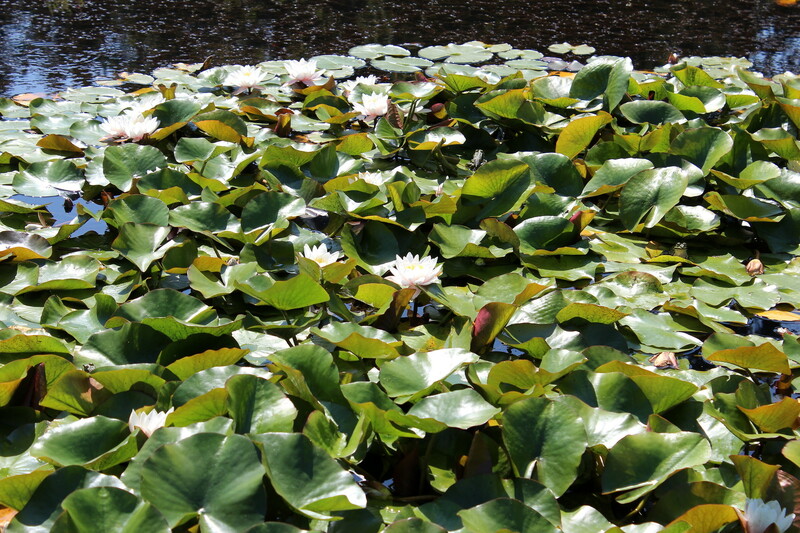 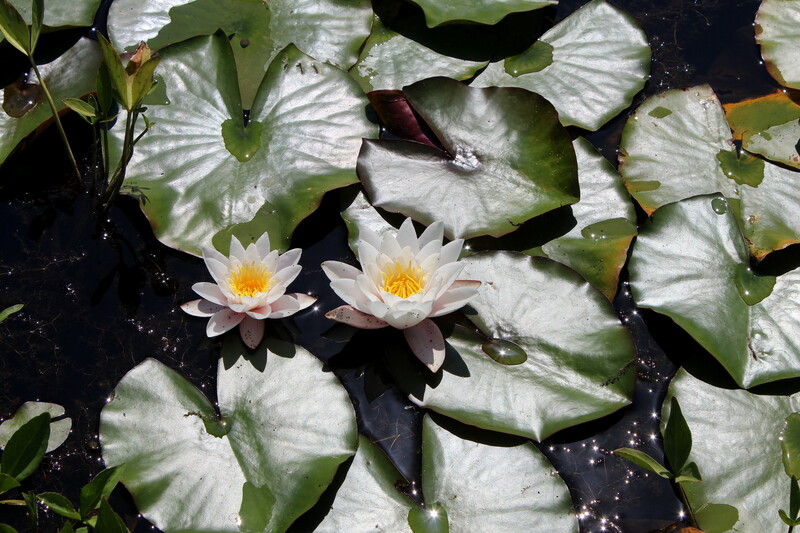 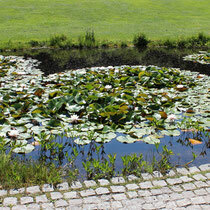 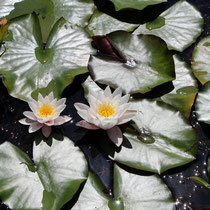 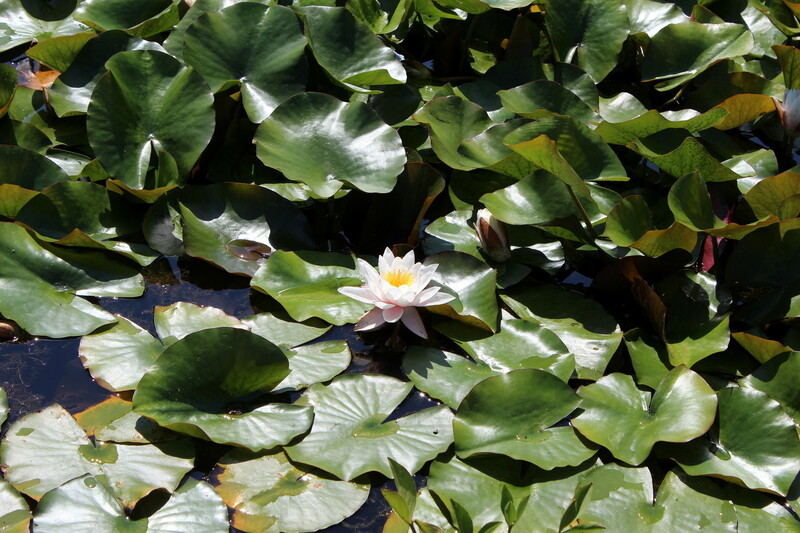 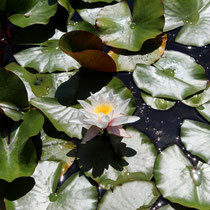 A little pond filled with water lilies is located next to one of the pathways. 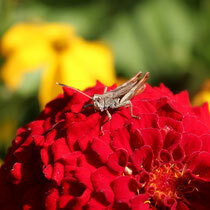 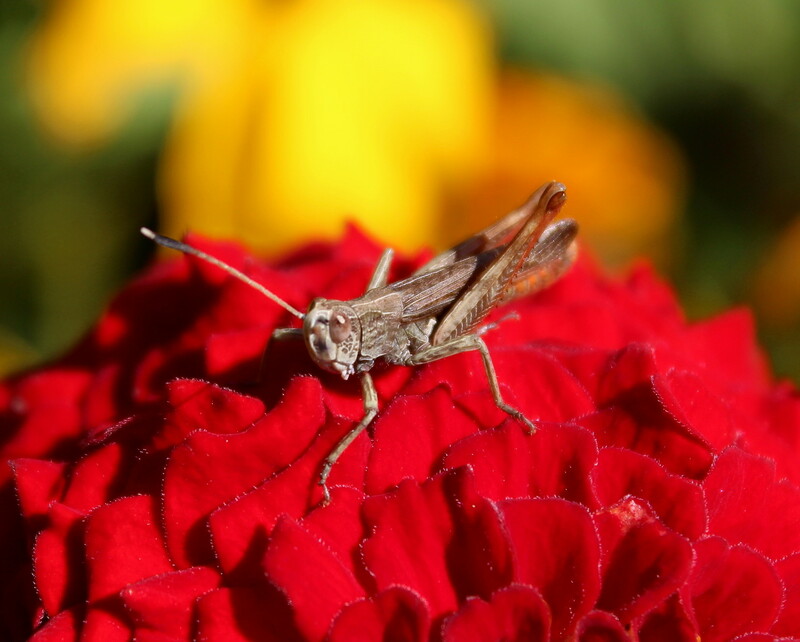 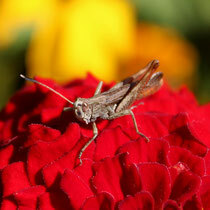 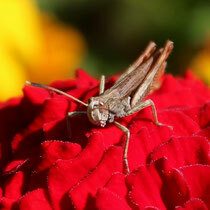 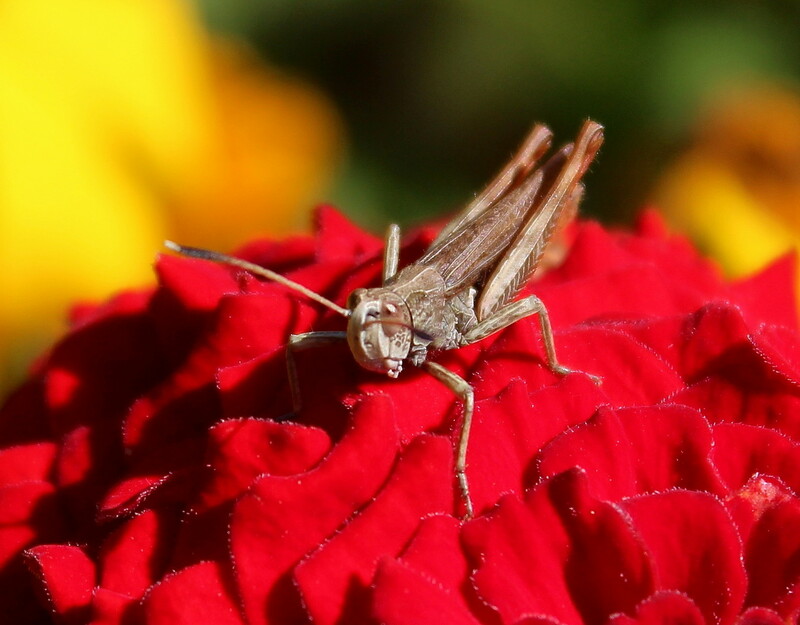 I found this little guy sitting on a flower enjoying the sunshine. 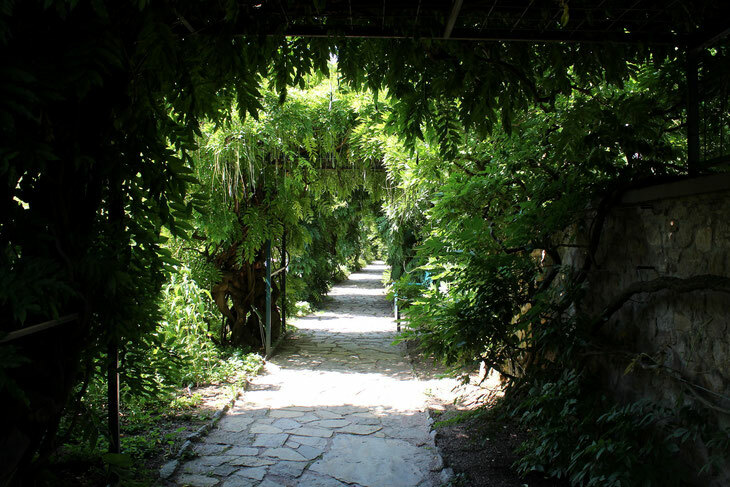 Along one wall there is a colonade made from vines where people can enjoy a shady stroll. 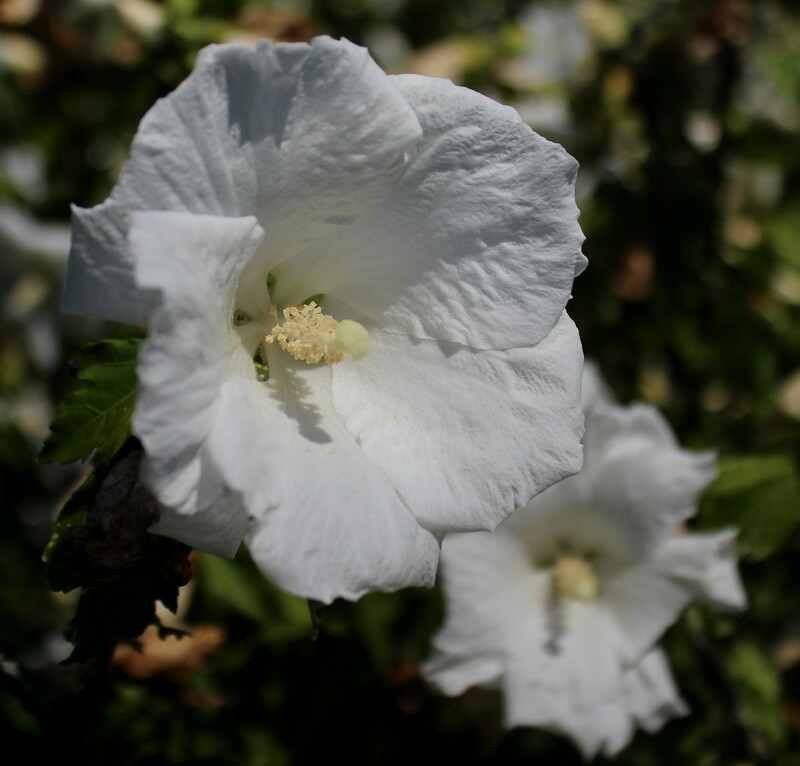 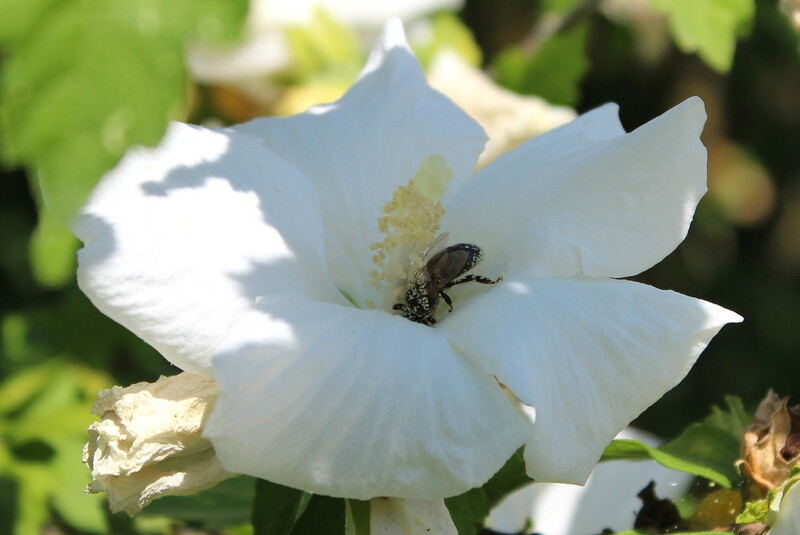 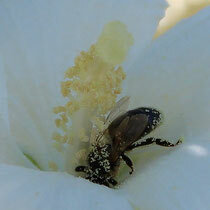 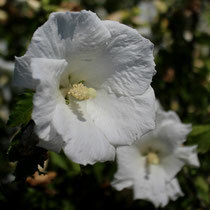 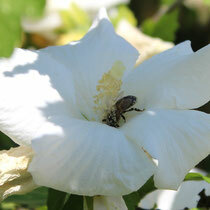 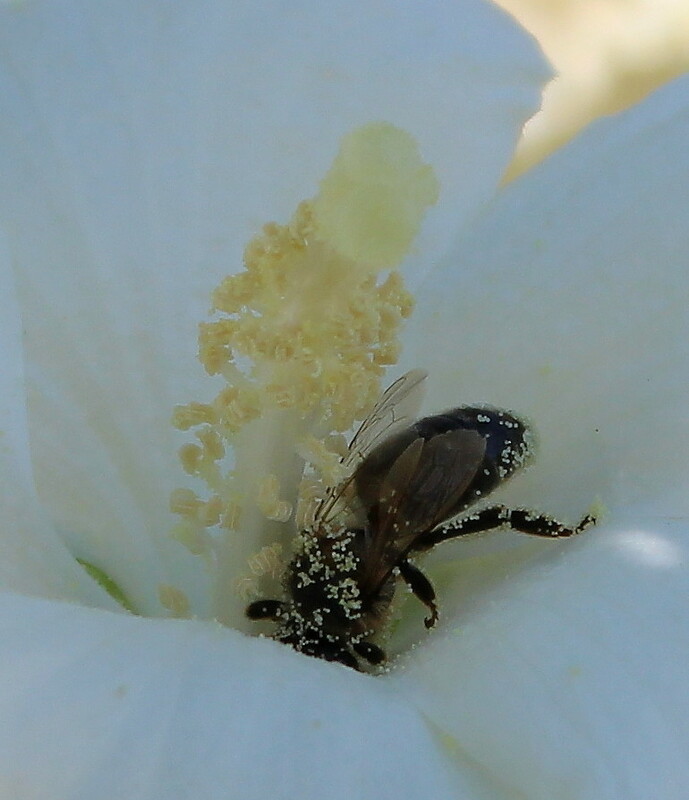 In one of the hibiscus flowers I could observe another bee that gathered pollen. 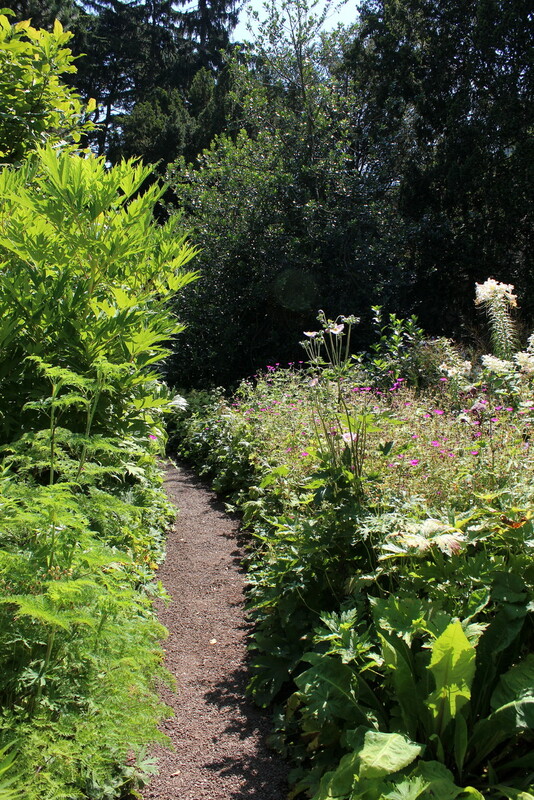 Along the way there was this wonderful contrast. 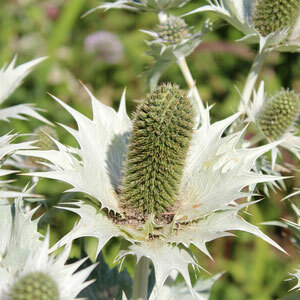 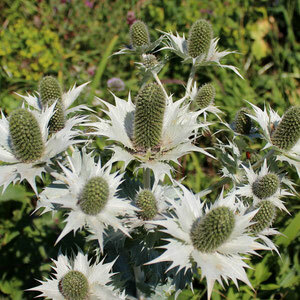 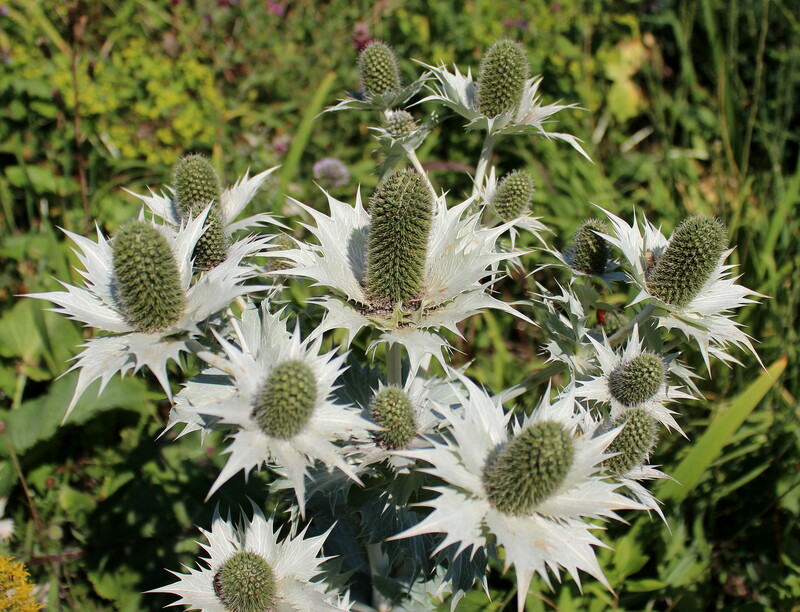 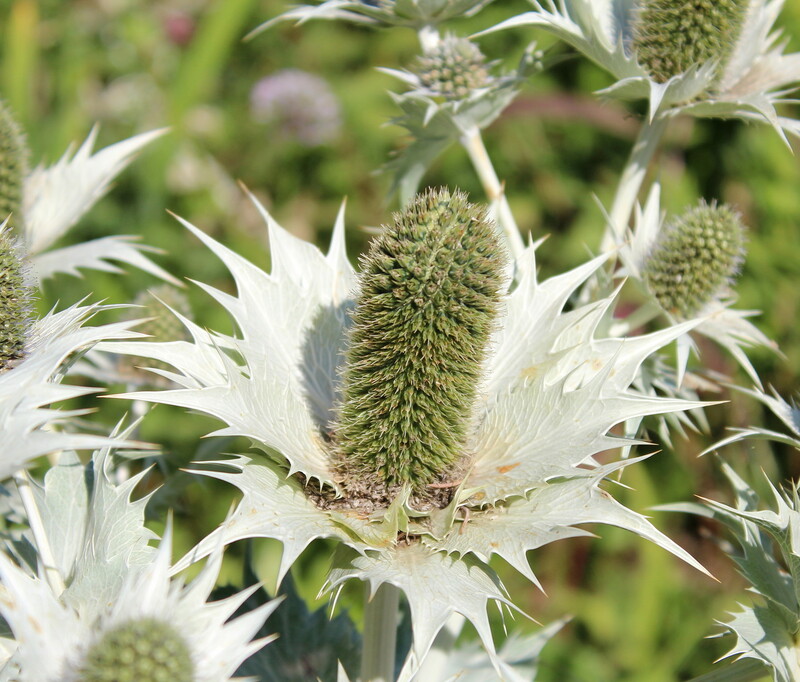 The dry thistles were quite a change to the riot of colors the blossoms of the other plants created. 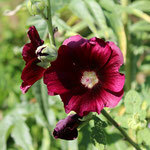 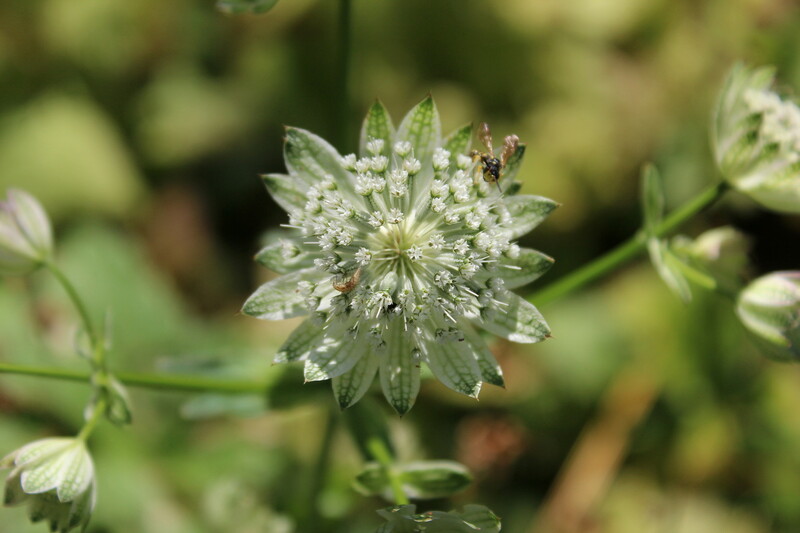 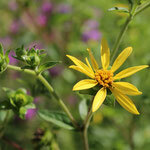 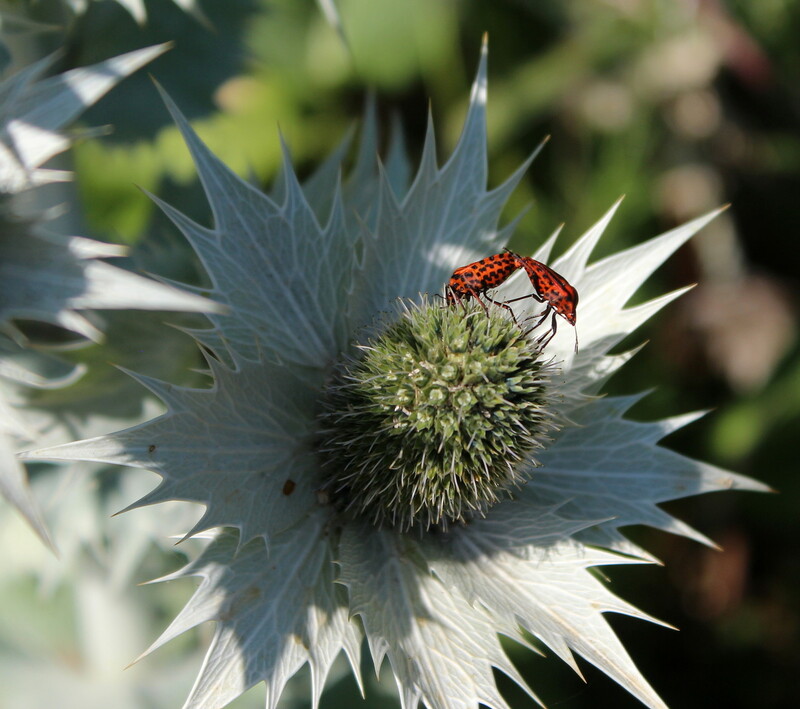 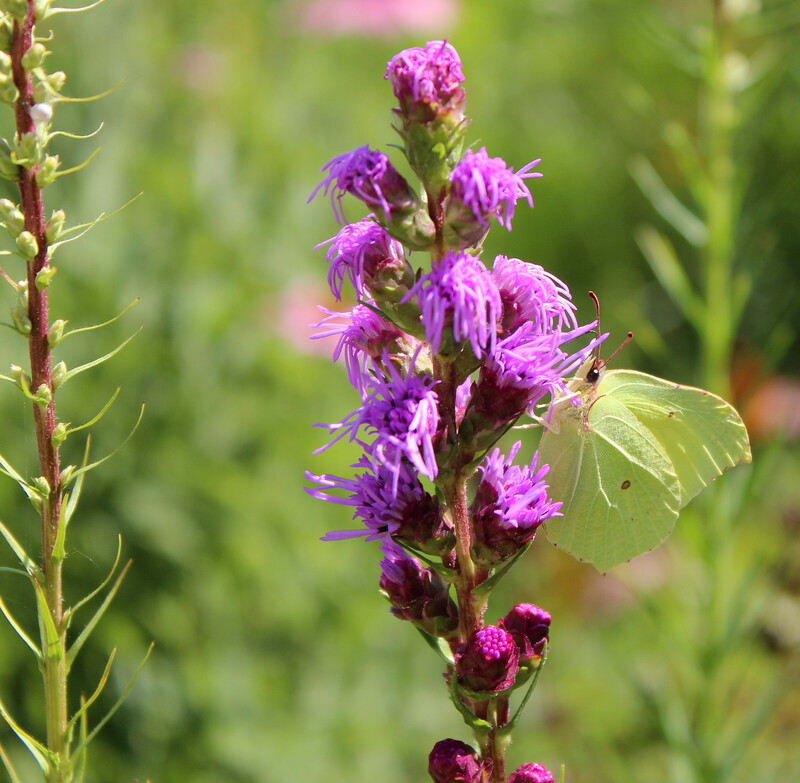 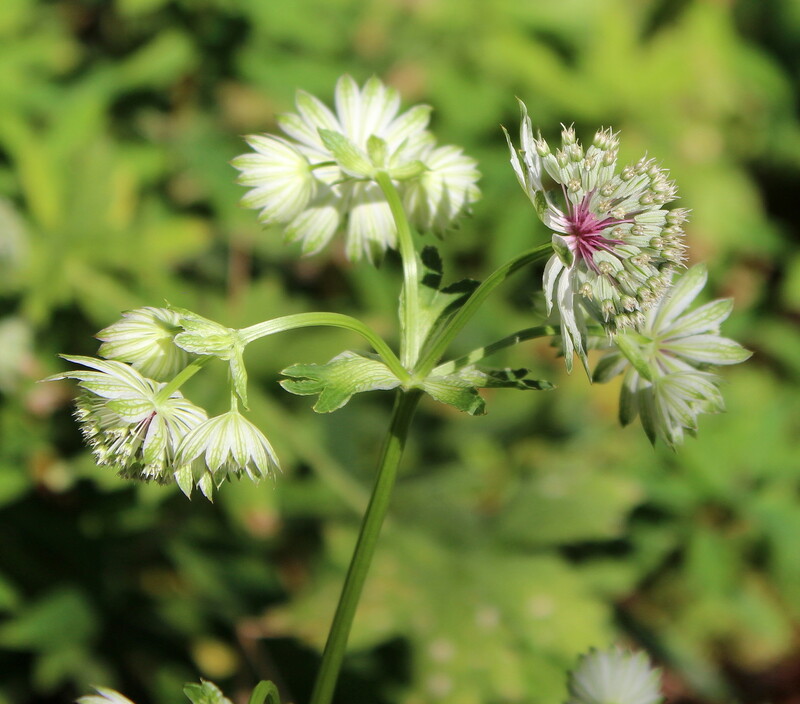 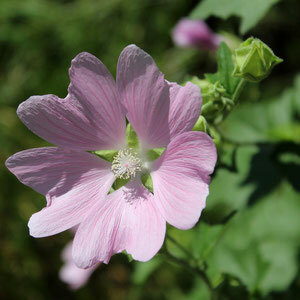 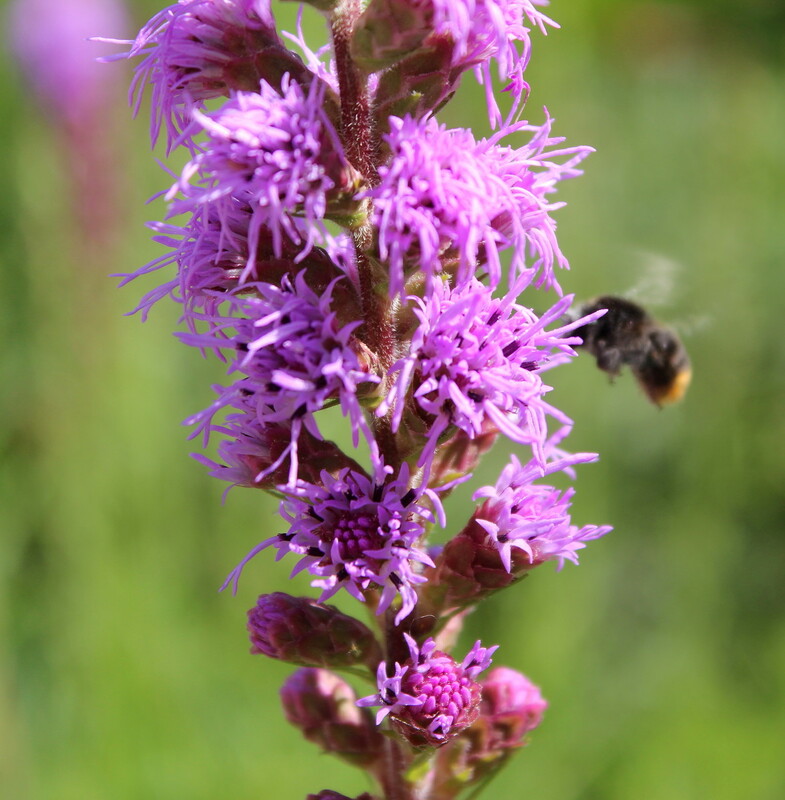 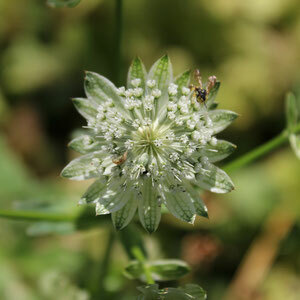 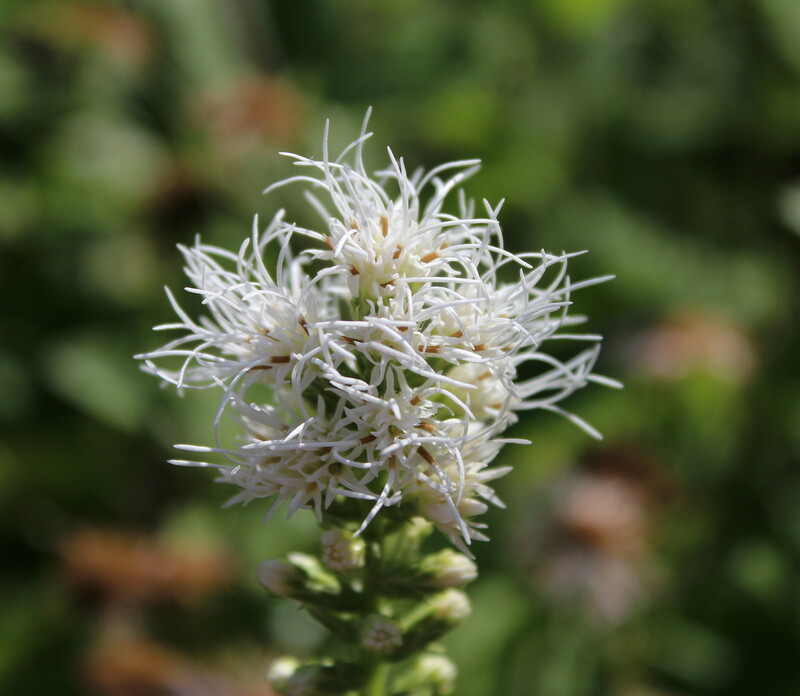 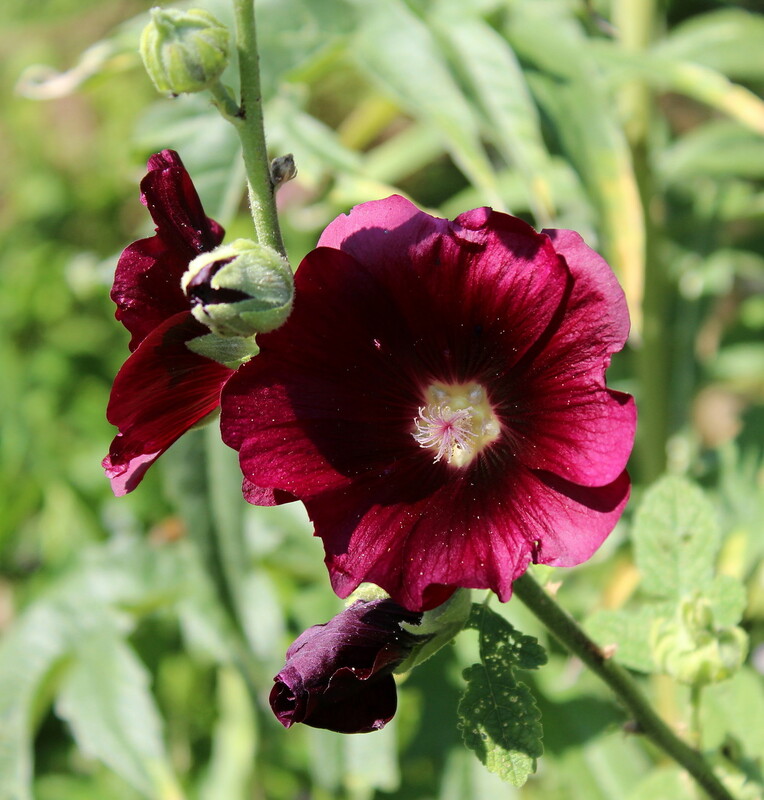 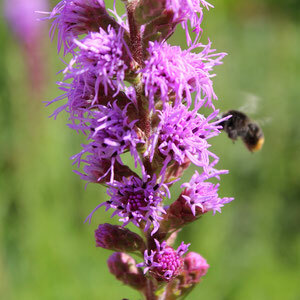 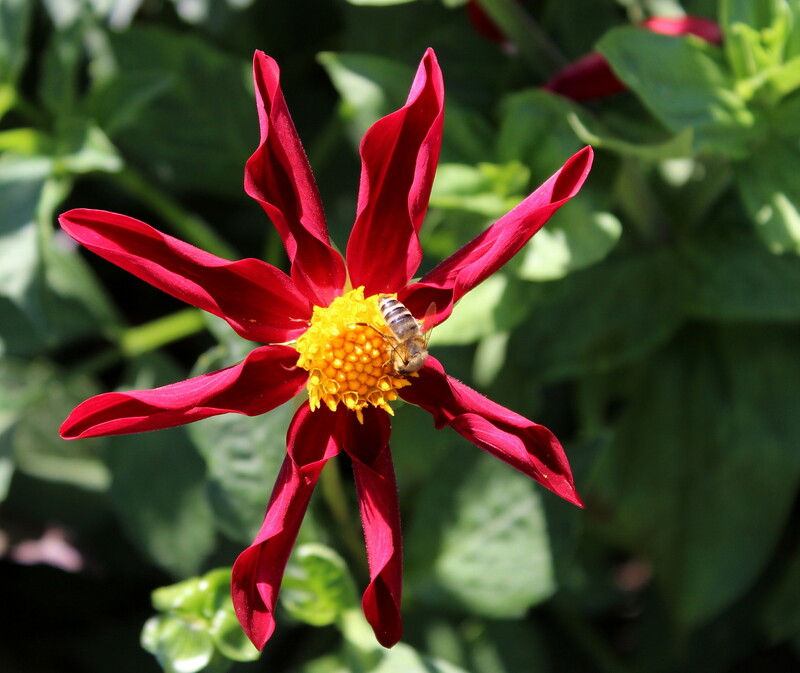 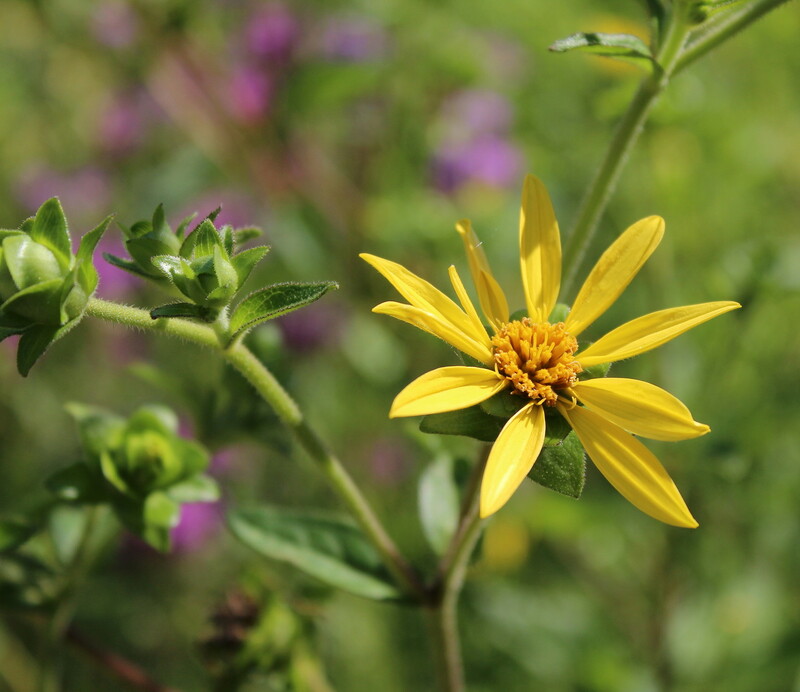 This plant was not only frequented by bees and bumblebees it also attracted a butterfly. 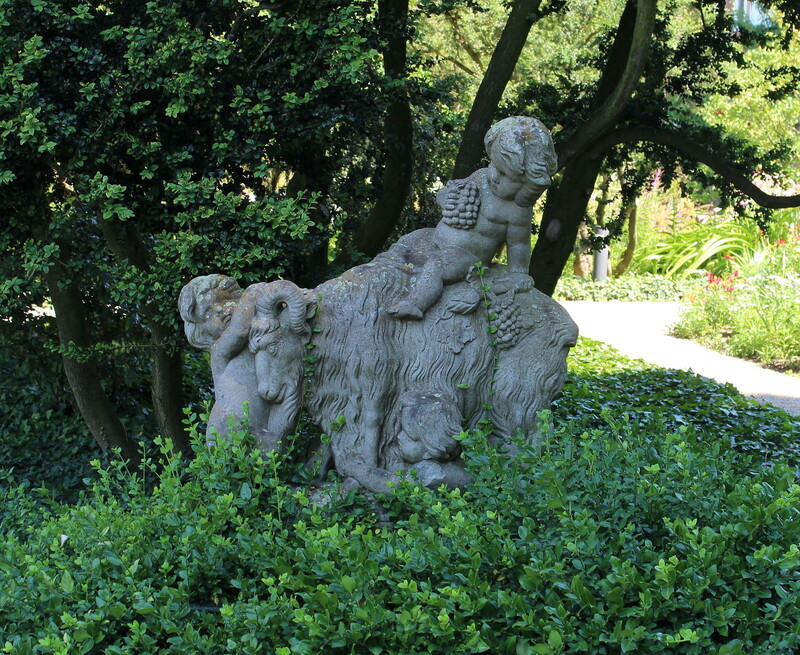 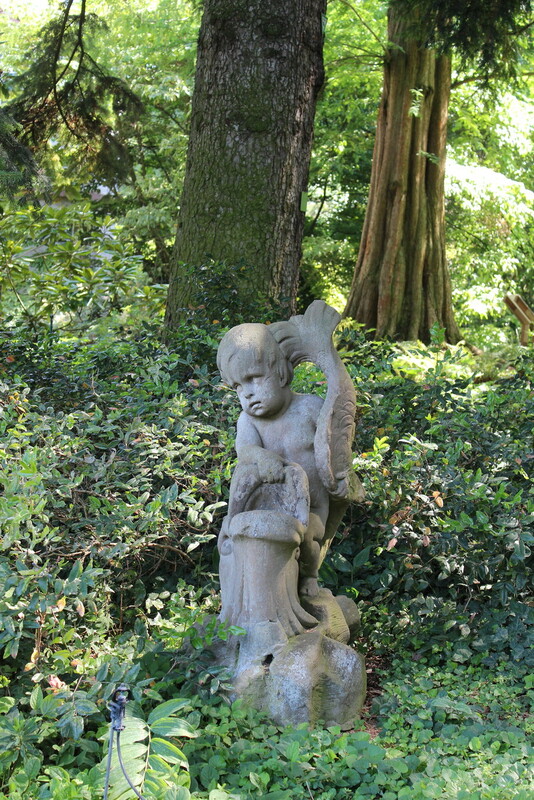 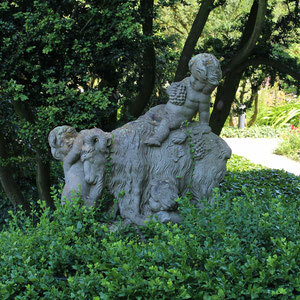 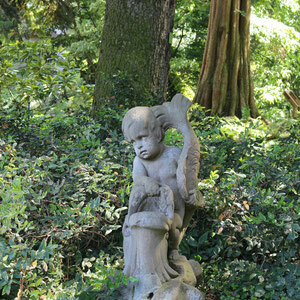 Throughout the garden I only saw two statues - maybe there are more but then they were not placed at obvious spots. 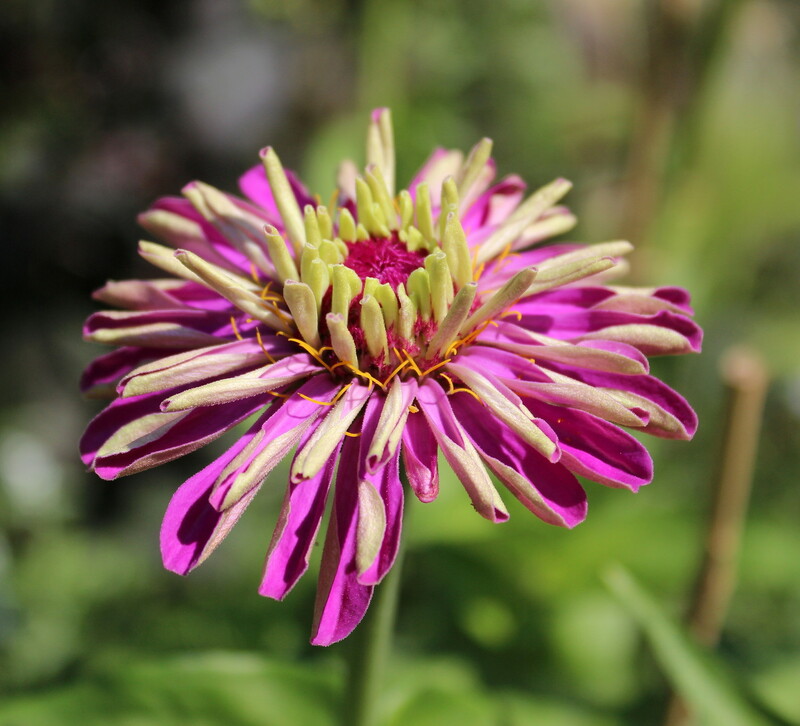 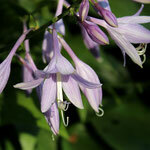 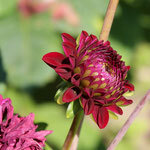 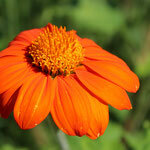 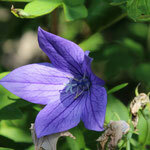 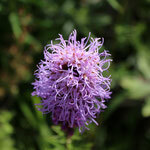 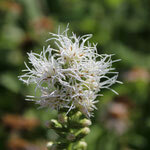 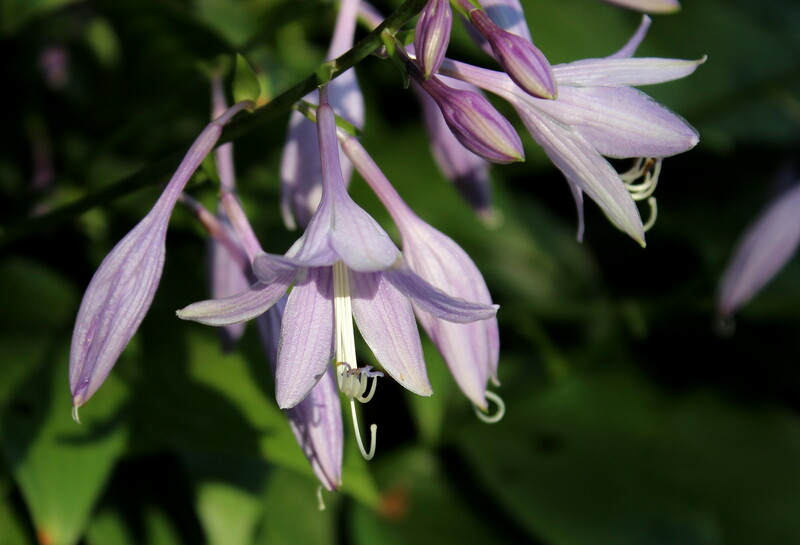 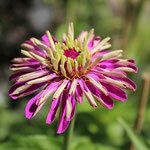 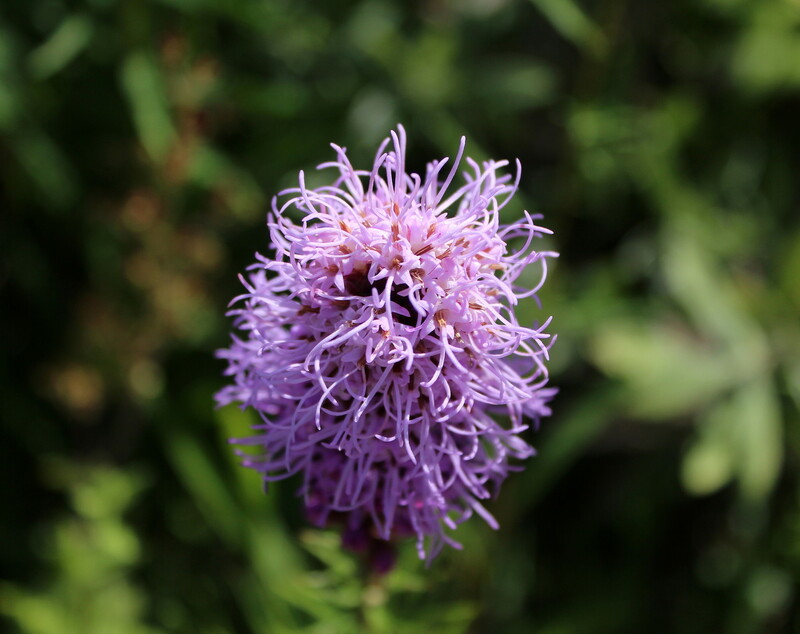 The anthers of these flowers were pretty interesting in the way they were designed. 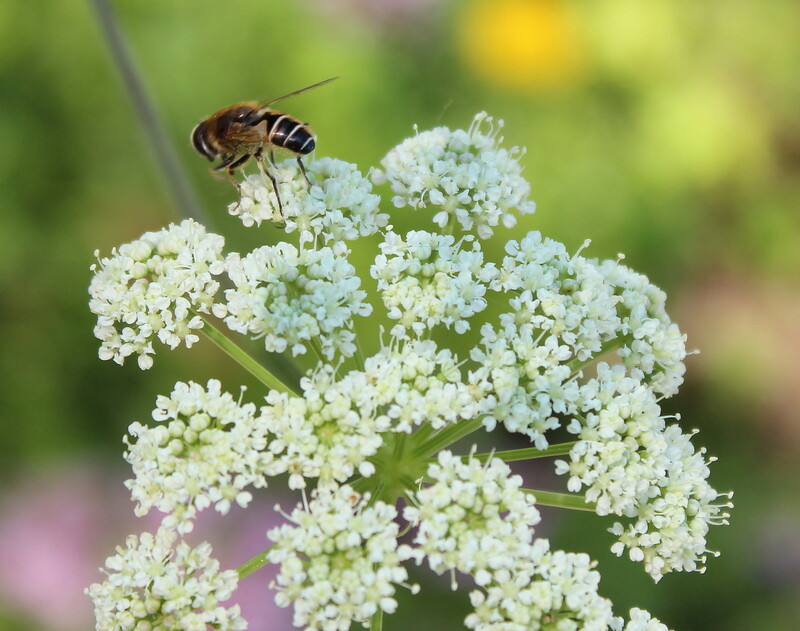 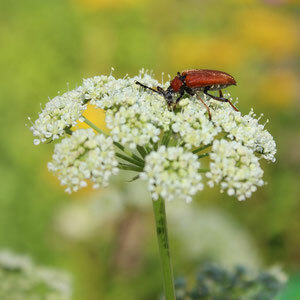 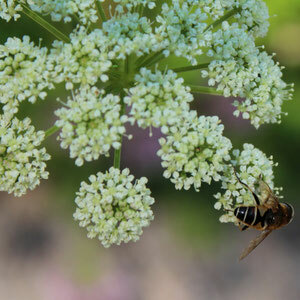 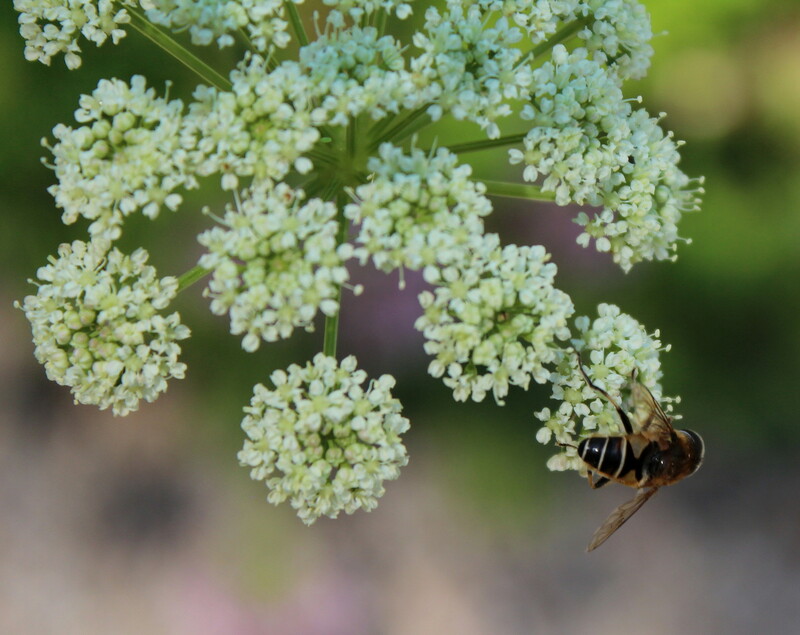 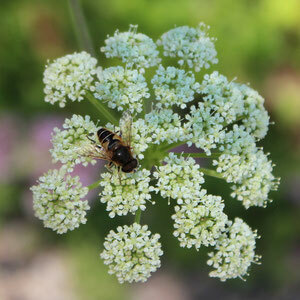 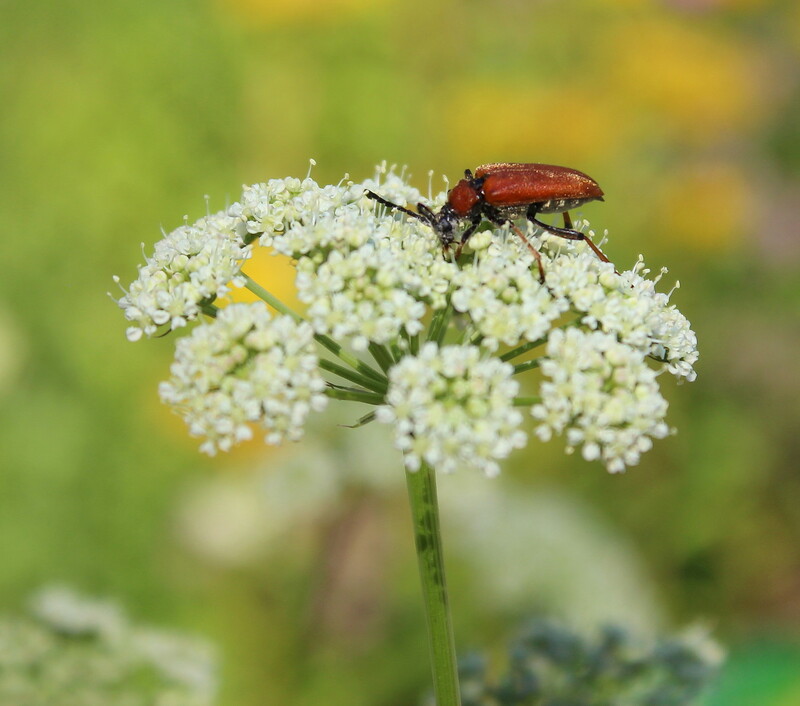 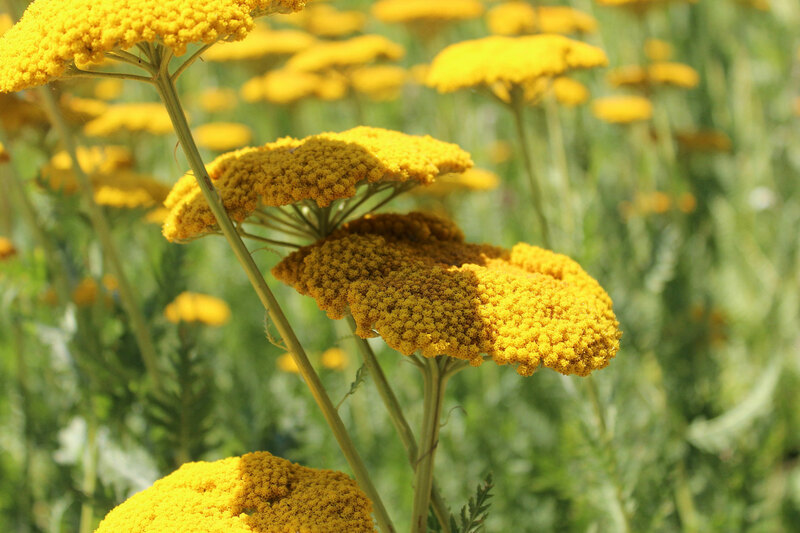 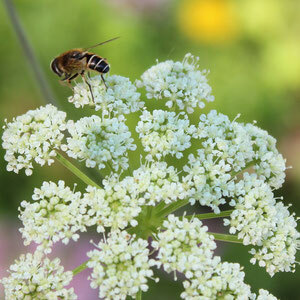 It seems silver yarrow is not only attractive to bees but also to certain bugs. 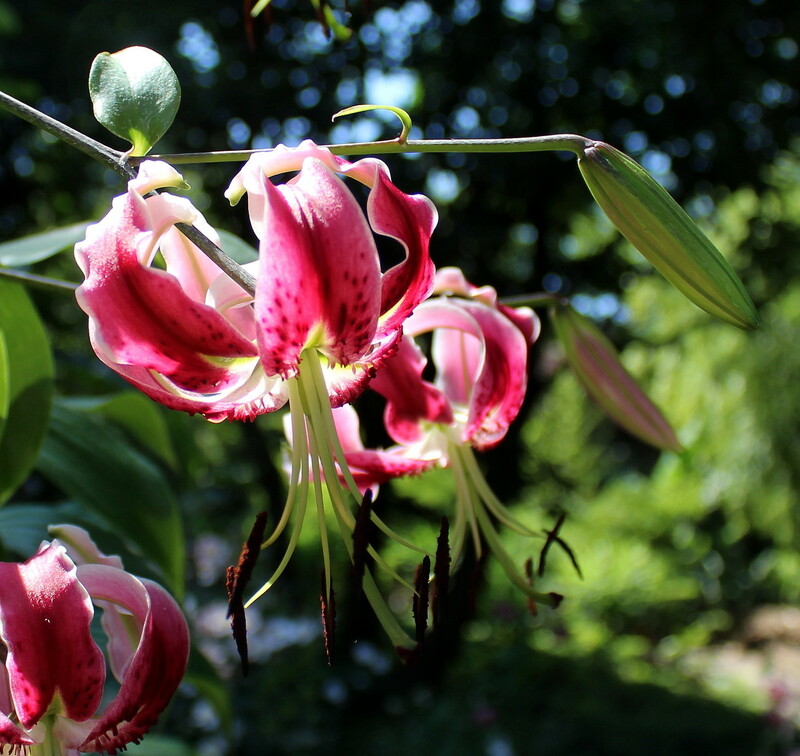 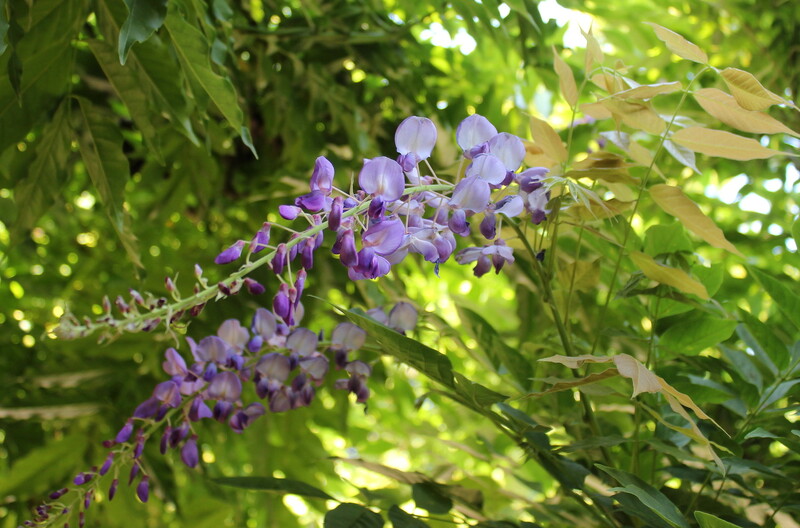 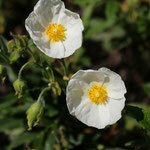 I really liked these flowers with their tiny blossoms within the large blossom. 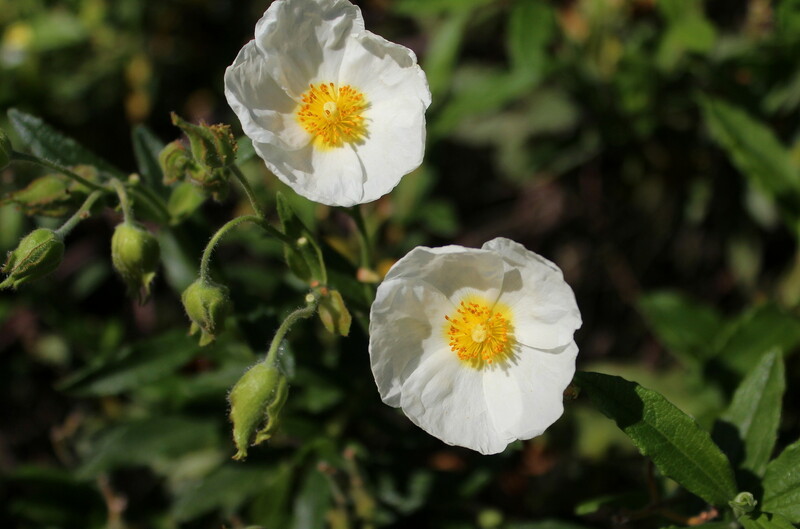 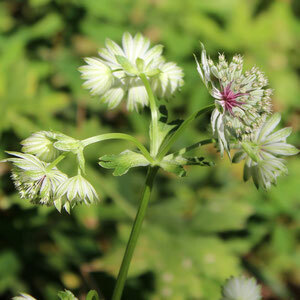 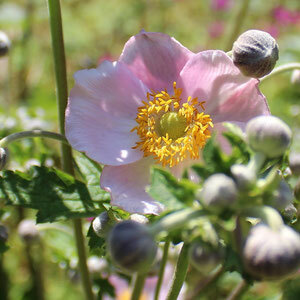 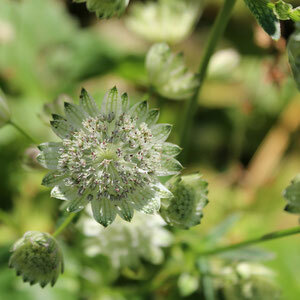 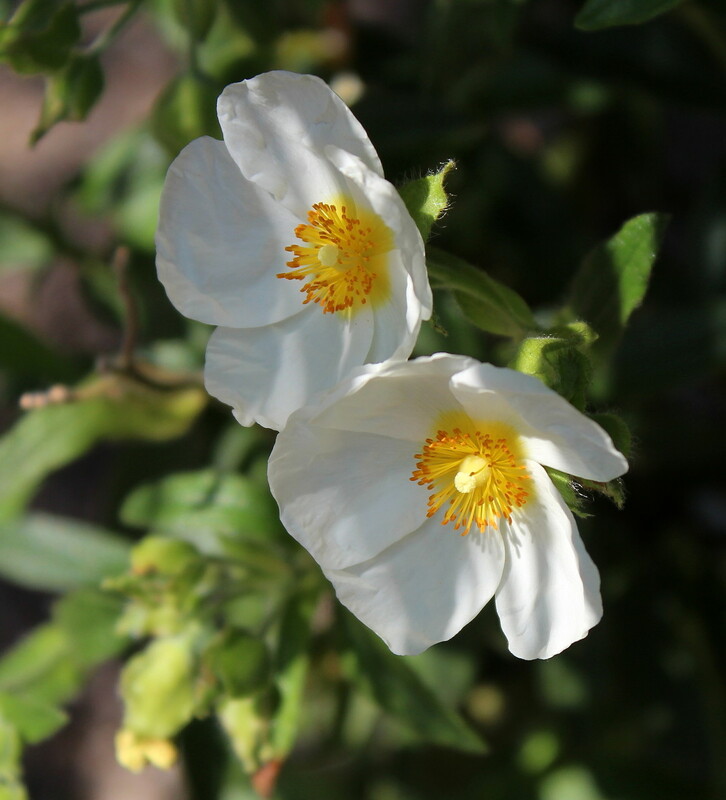 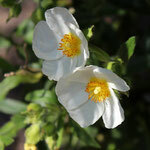 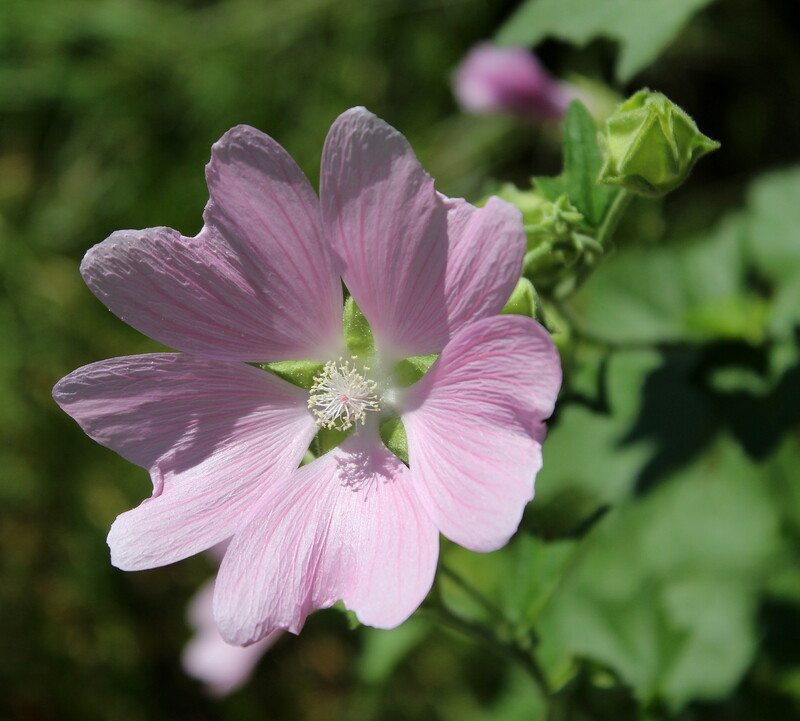 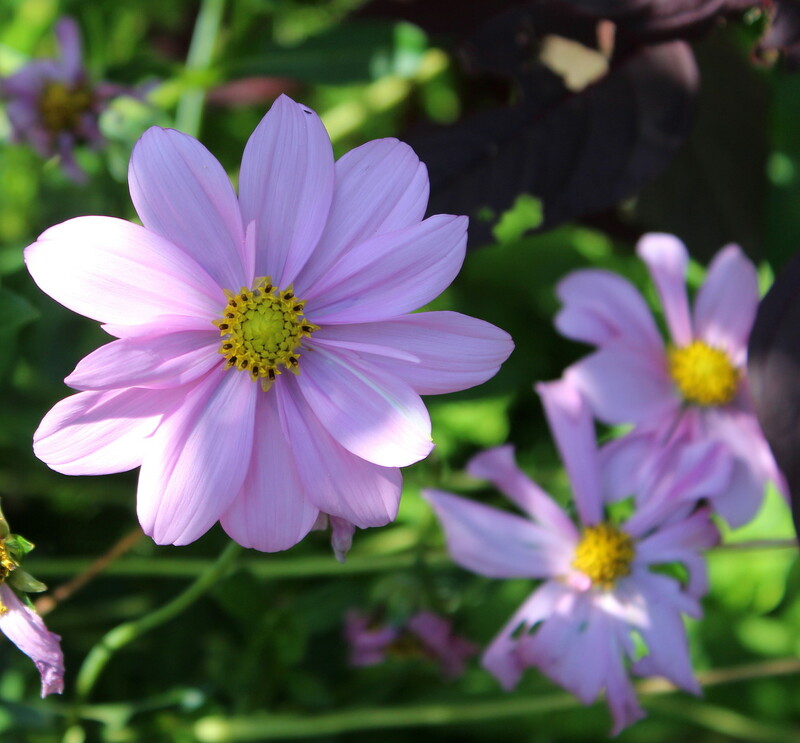 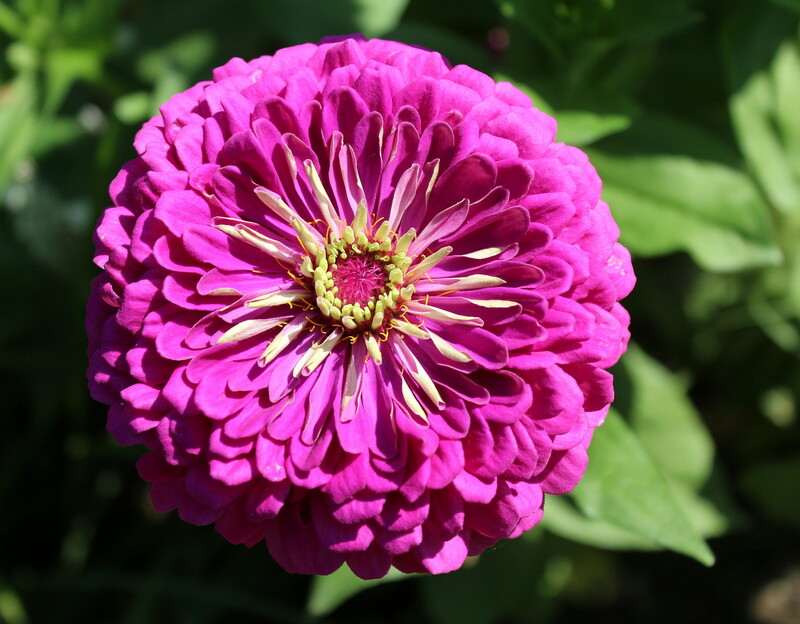 And I also liked how delicate the petals of these flowers looked. 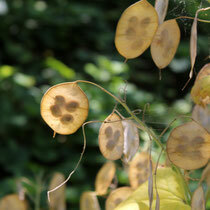 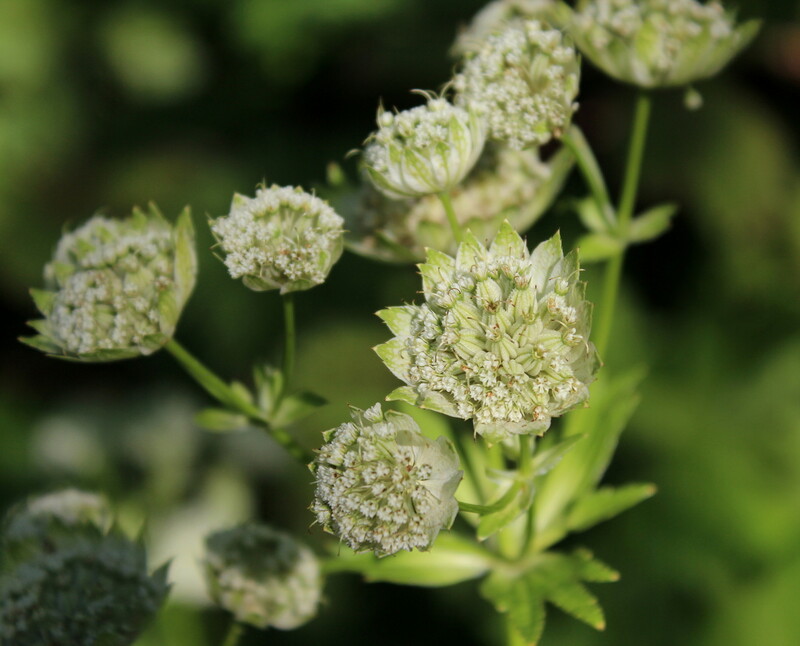 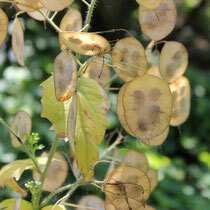 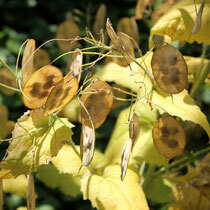 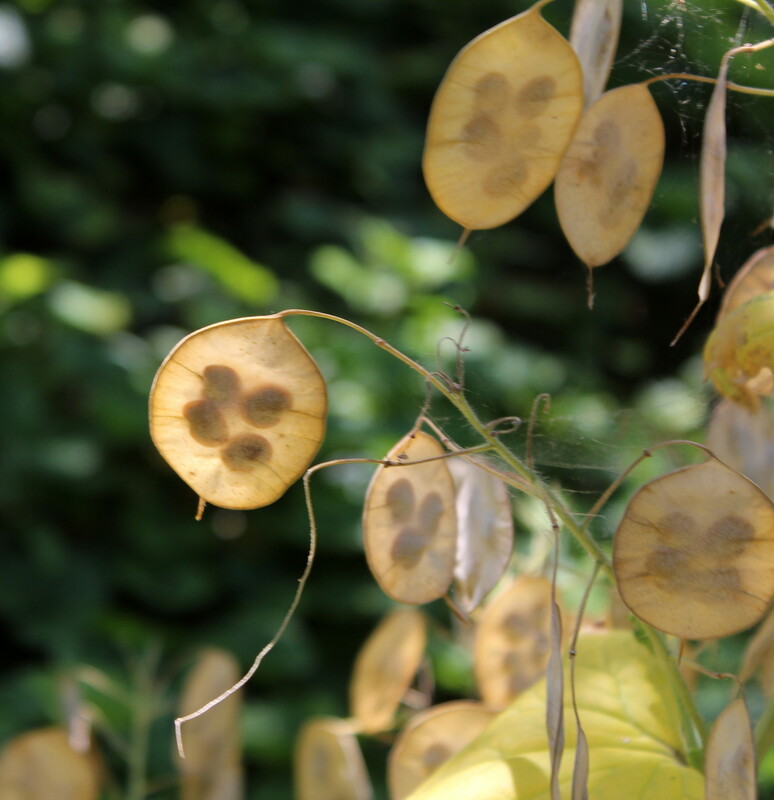 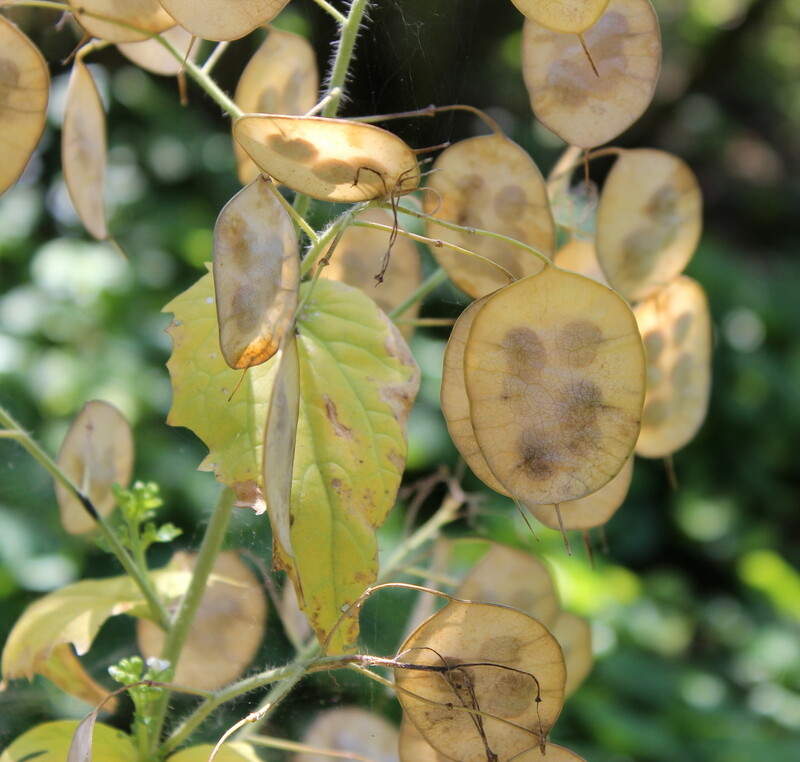 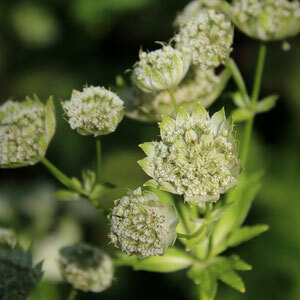 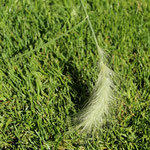 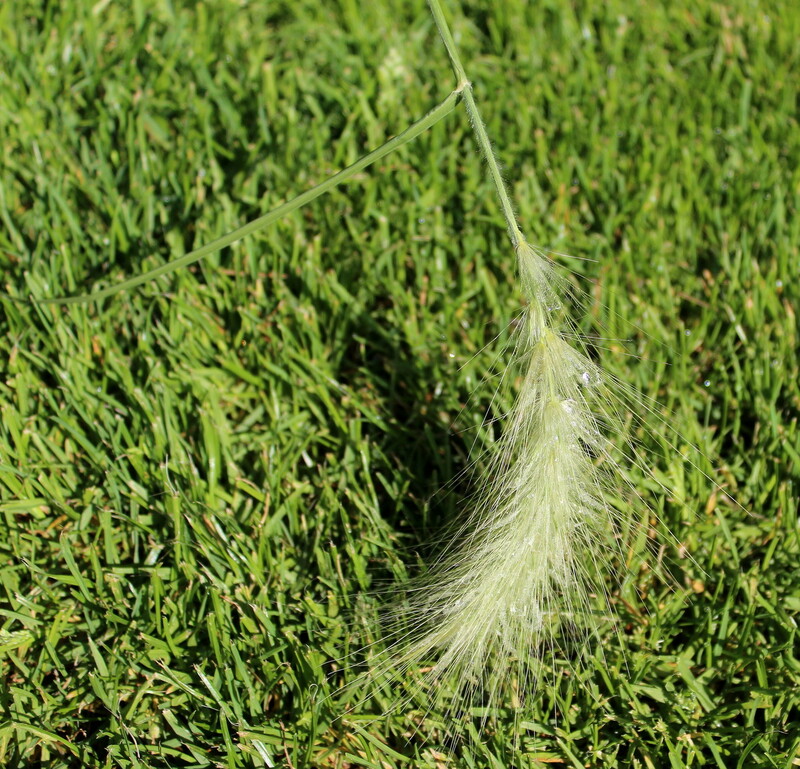 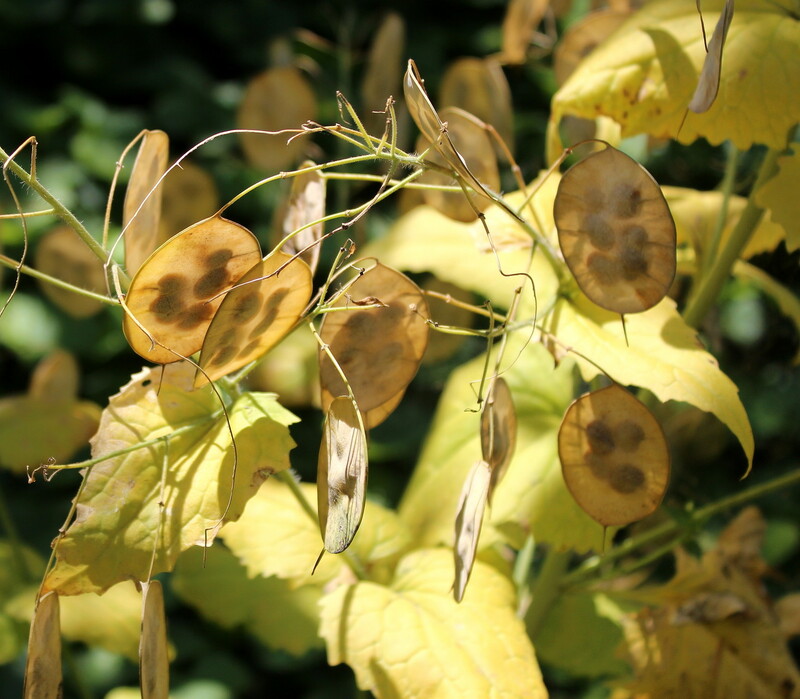 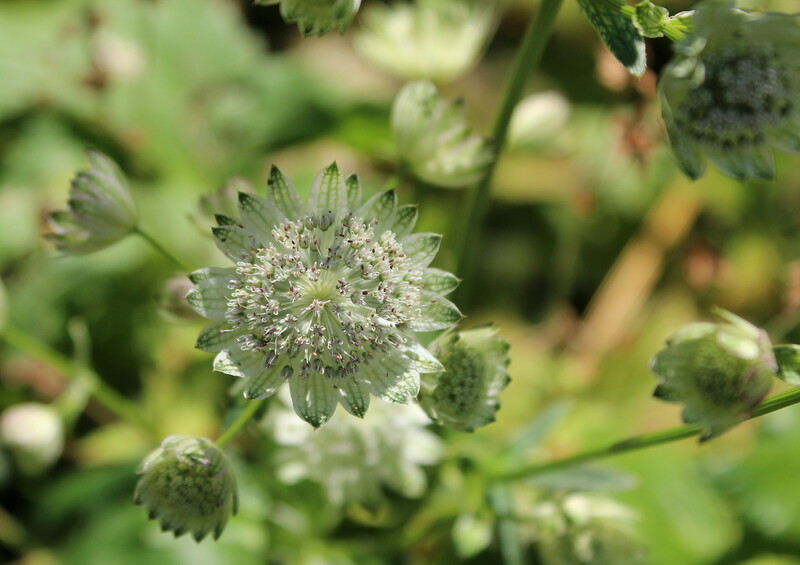 I have no idea what this plant is called but it looked odd with its papery seed capsule. 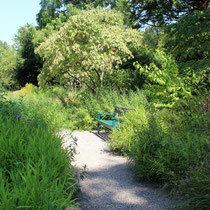 And here is the "rest" - everything that did not seem to fit into one the other topics.